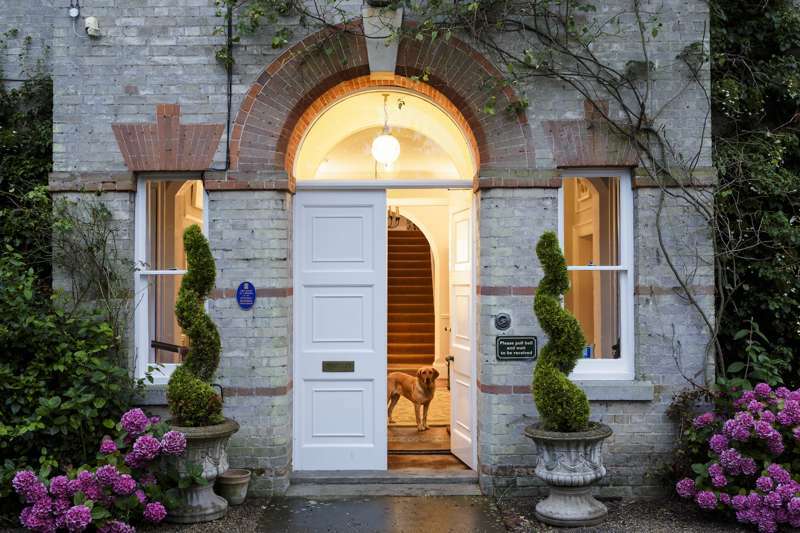 Britain invented the Bed & Breakfast or B&B – and no one does it better, with thousands of places around the country offering a bed for the night and a hearty breakfast along with the sort of warm welcome you don't always get in a regular hotel. 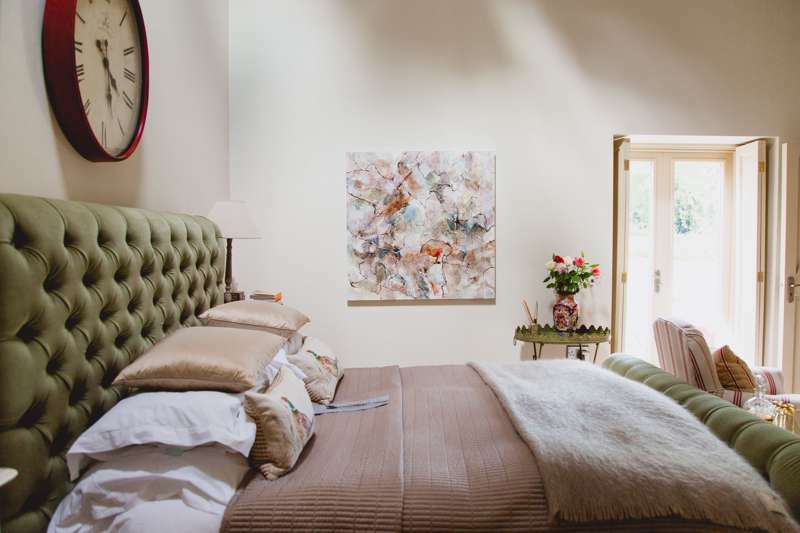 The people who run bed-and-breakfasts are vested not only in their property, but also where they live, so often there's no better introduction to the region and where to go than to stay in a B&B; and the good news is the quality is higher than ever, with lots of new owners opening so-called boutique B&Bs – contemporary places that are perhaps a bit less formal and more stylish than the average Bed & Breakfast. 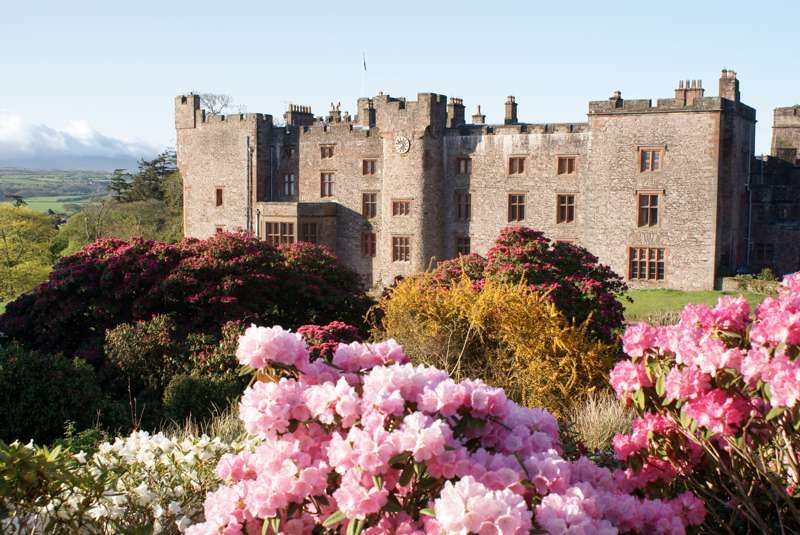 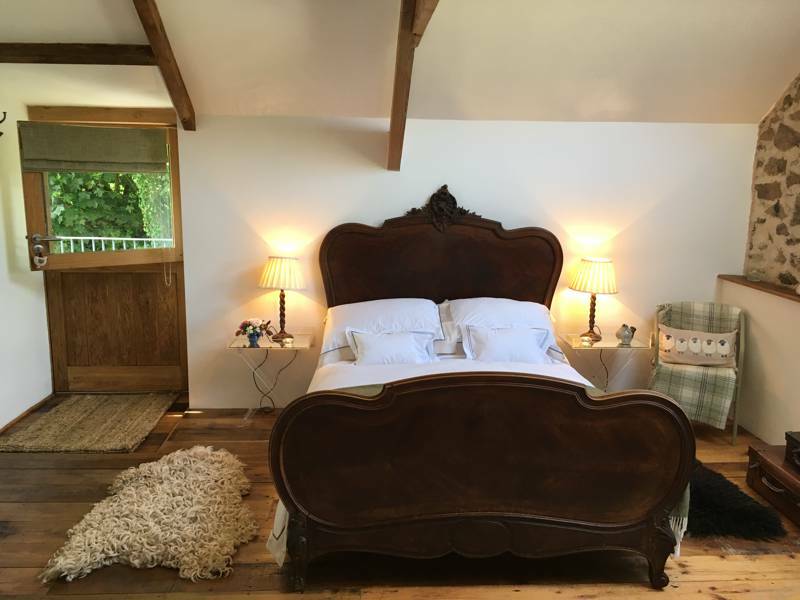 To find the perfect place for you, check out the best B&Bs England, Scotland and Wales below – and come back and tell us all about your trip! 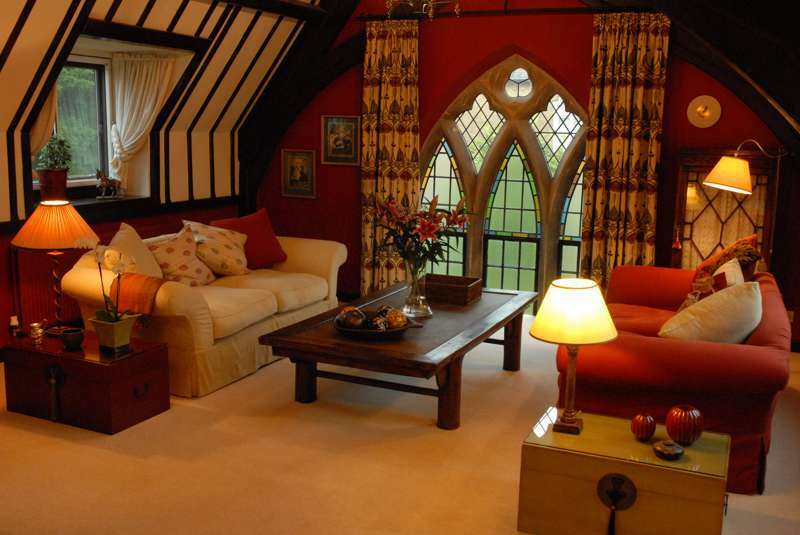 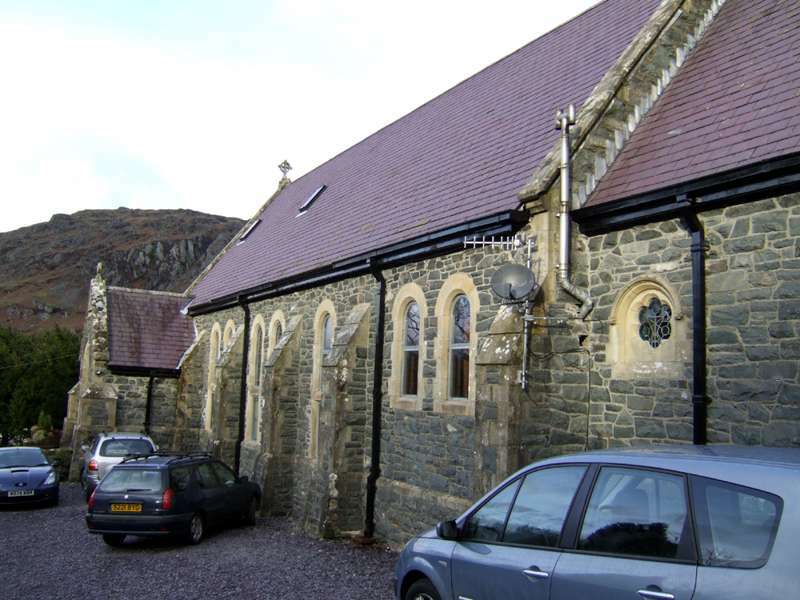 A fantastic church converted to a B&B. 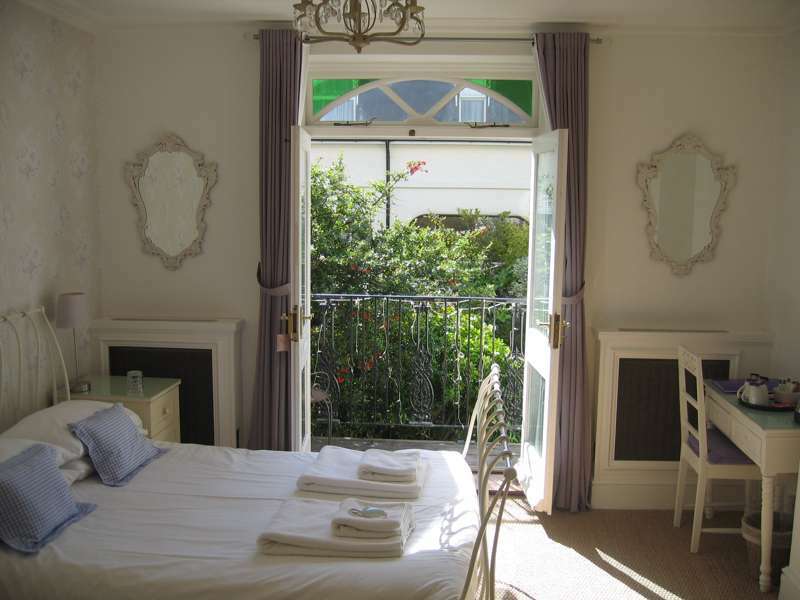 Beautiful boutique B&B in Hastings' Old Town. 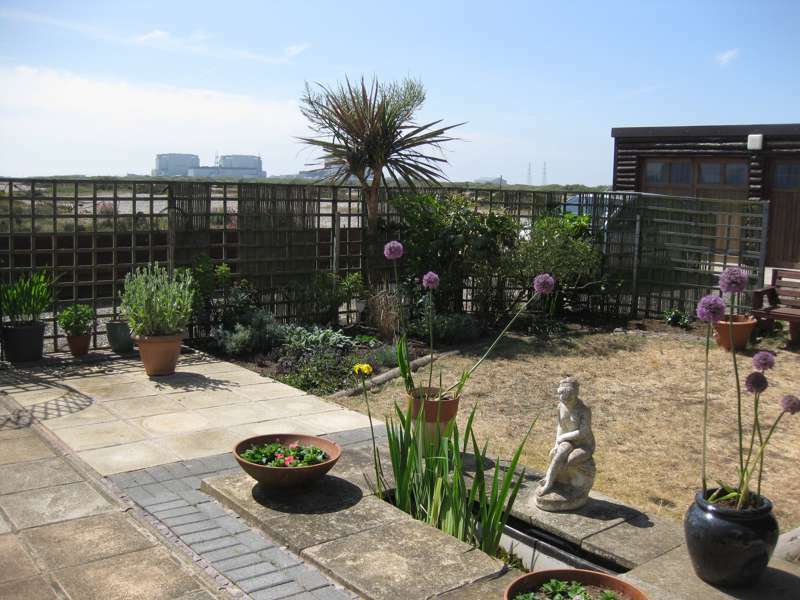 In a spacious townhouse in leafy Hove, this is a great option for those looking for a quiet place to chill out within a stone's throw of the seafront. 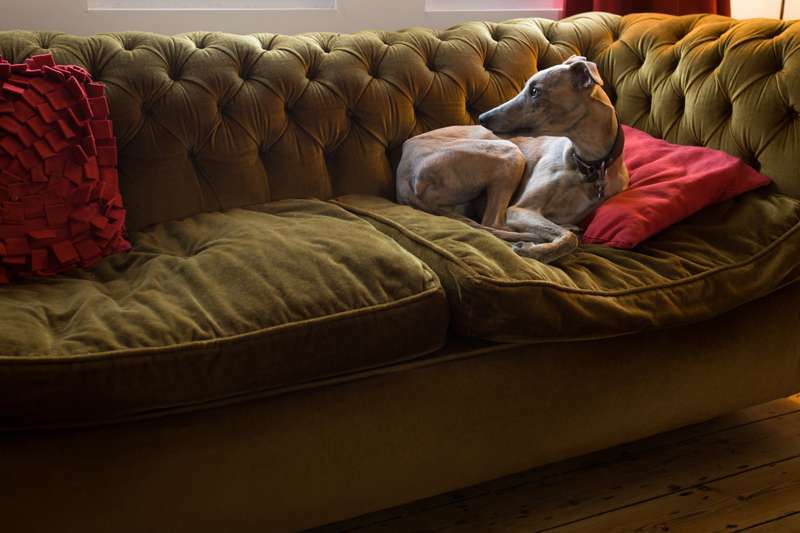 Home-from-home welcome and characterful comforts. 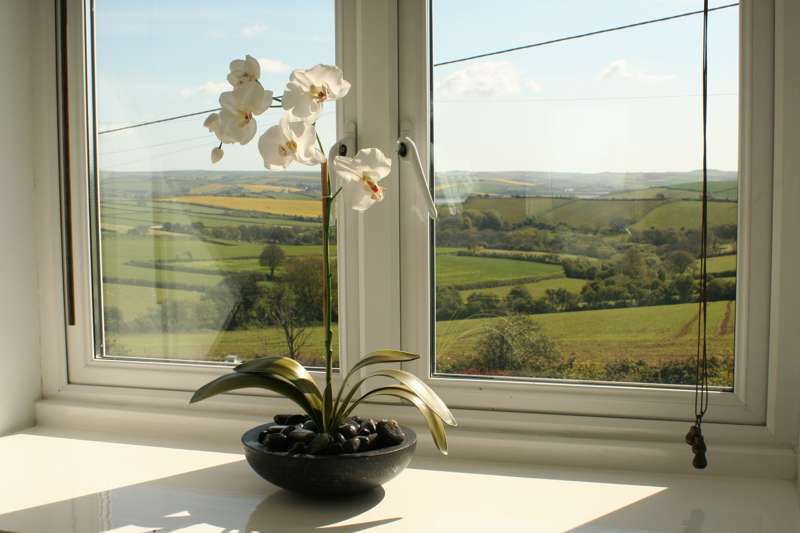 A B&B with a view to die for. 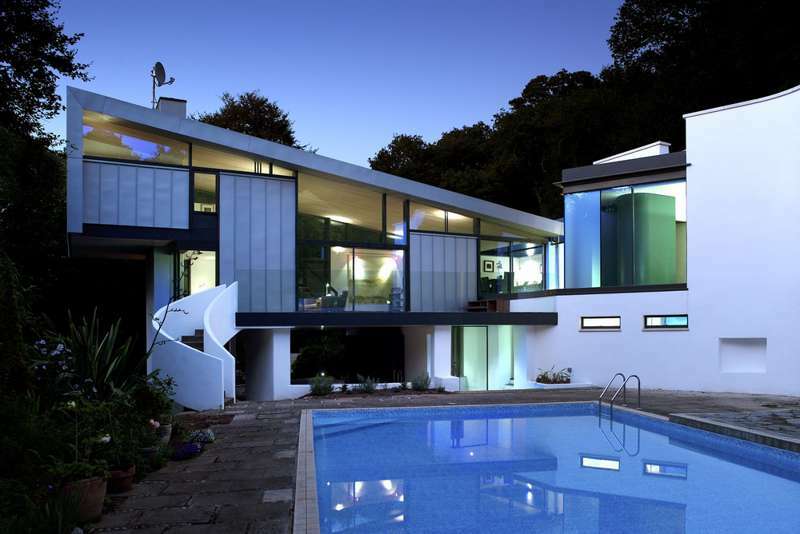 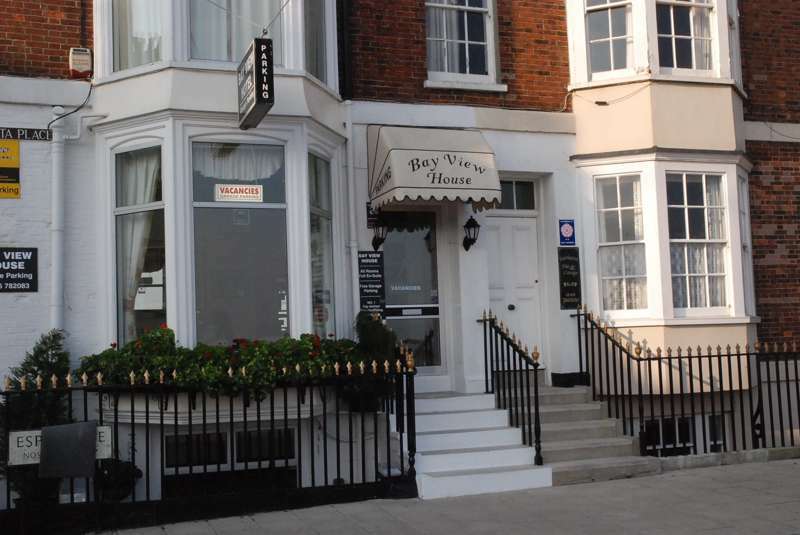 Very cool Bournemouth boutique B&B with café attached in a great location. 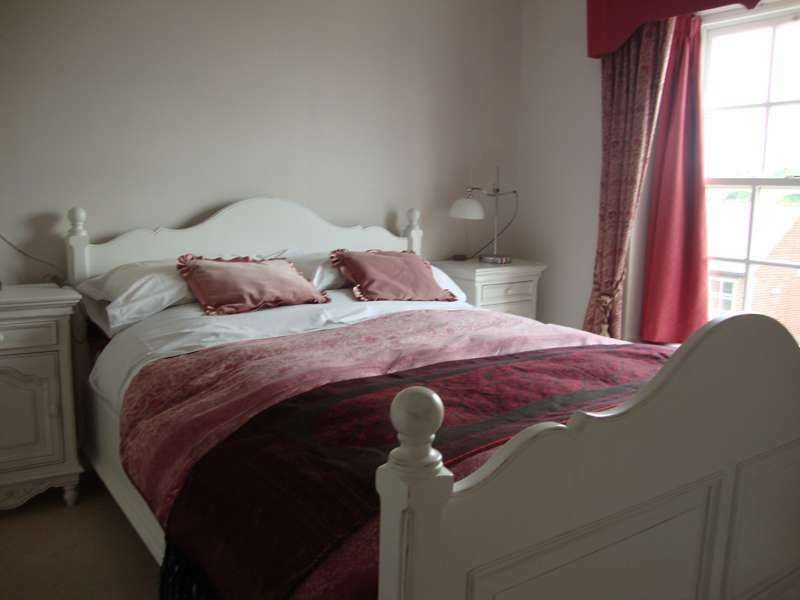 Great B&B in the heart of the Norfolk Broads' nicest village. 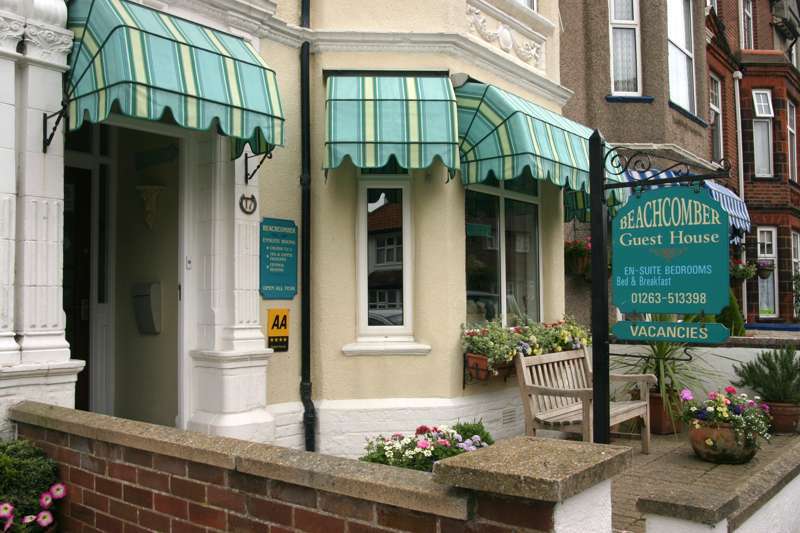 A very welcoming B&B that couldn't be more central and has a great selection of rooms and fabulous breakfasts. 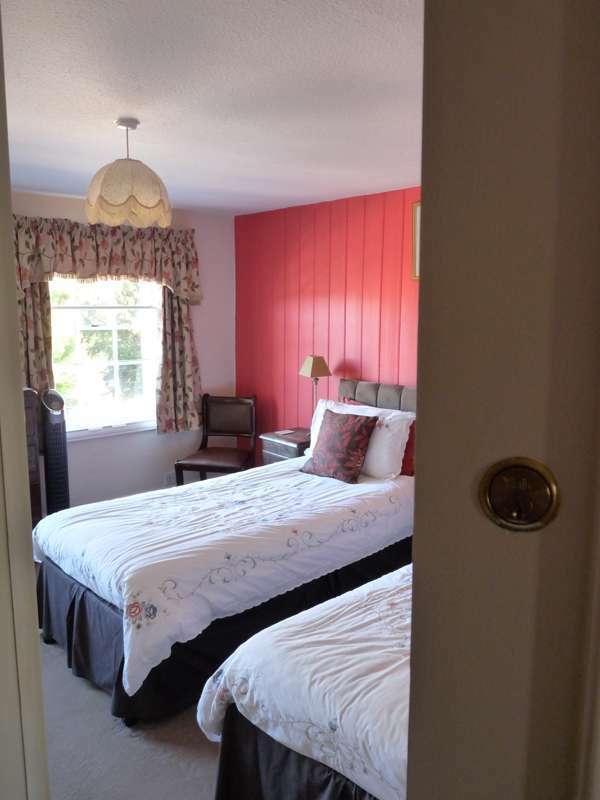 Comfy and cosy Dungeness bolthole. 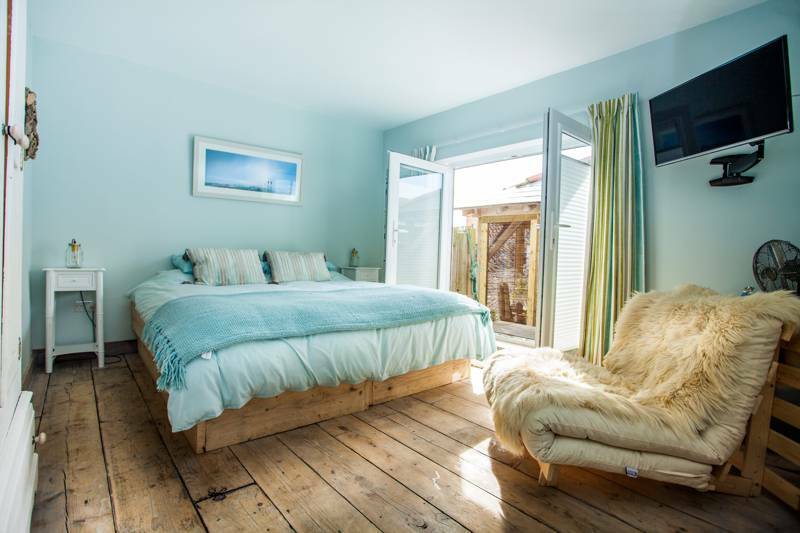 A great, very cool B&B by the sea. 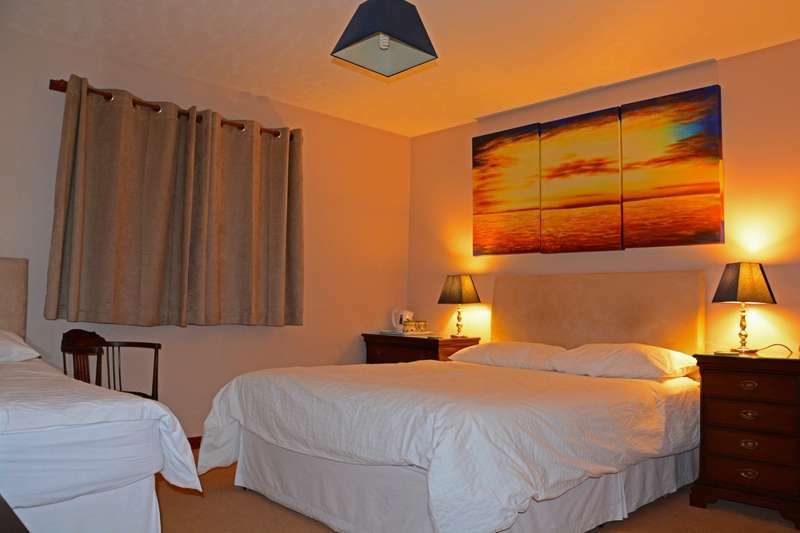 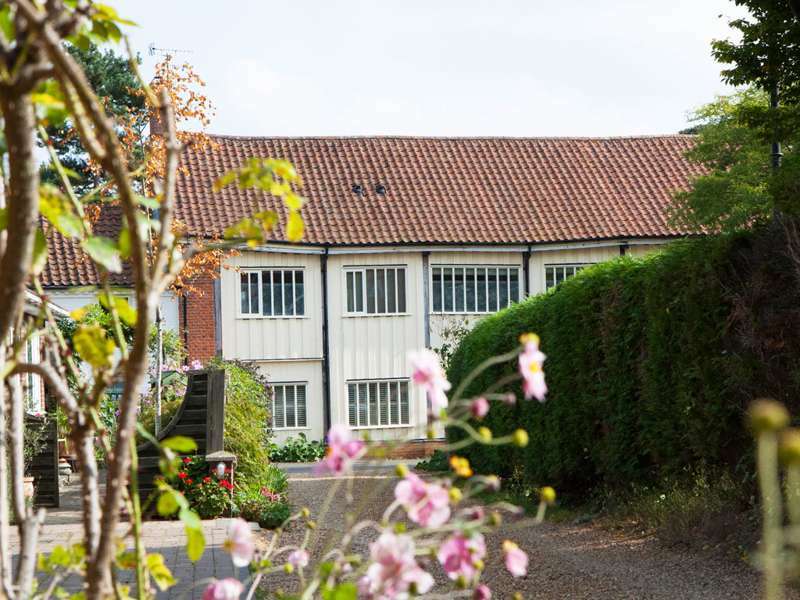 A beautiful, contemporary B&B in the heart of sleepy Aylsham. 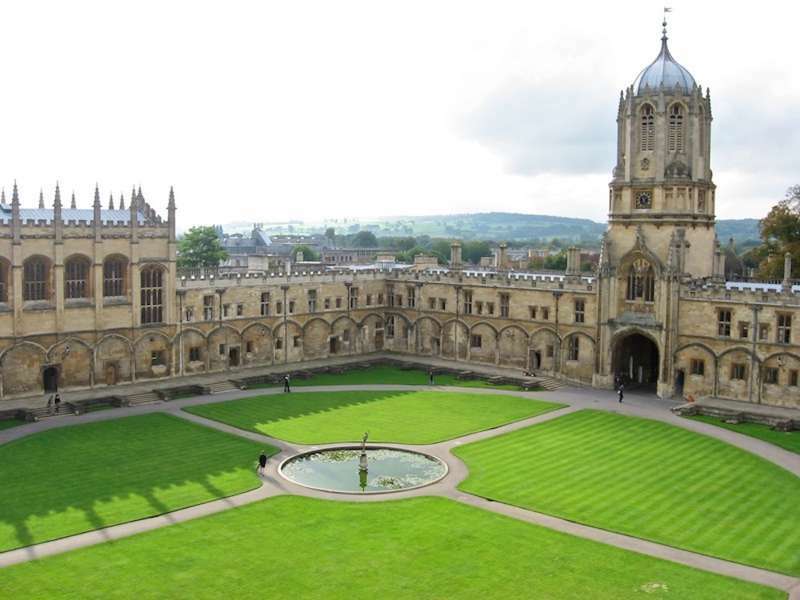 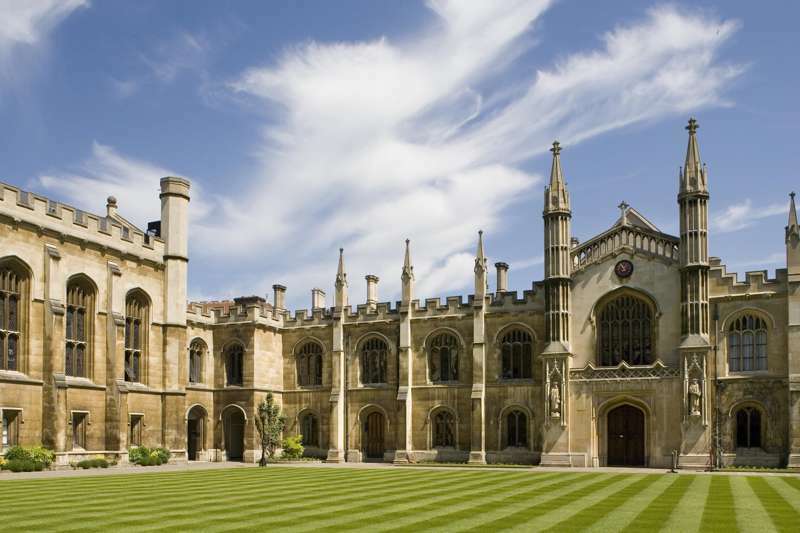 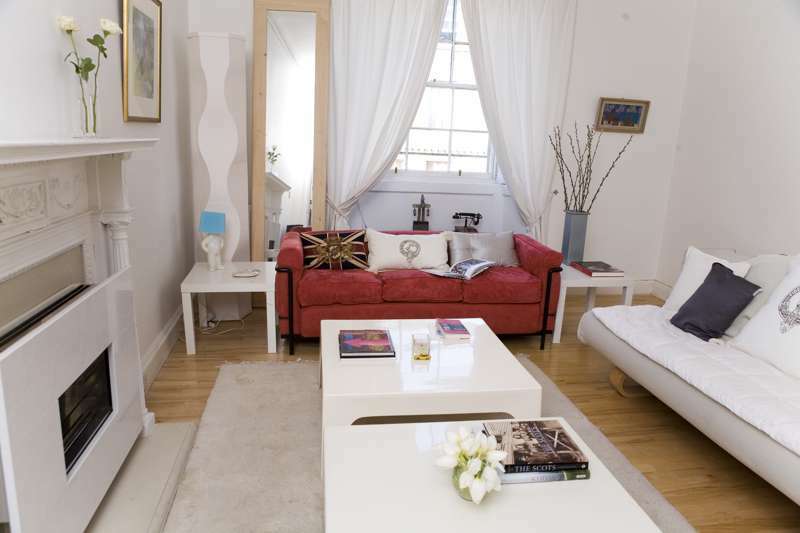 Simple student accommodation in grand university surroundings. 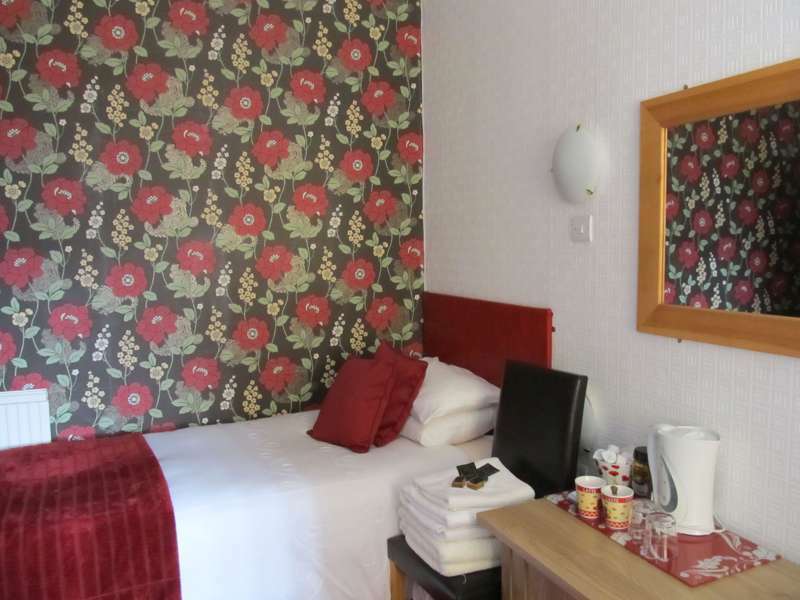 A friendly and accommodating guesthouse with rooms decorated in a smart, modern style. 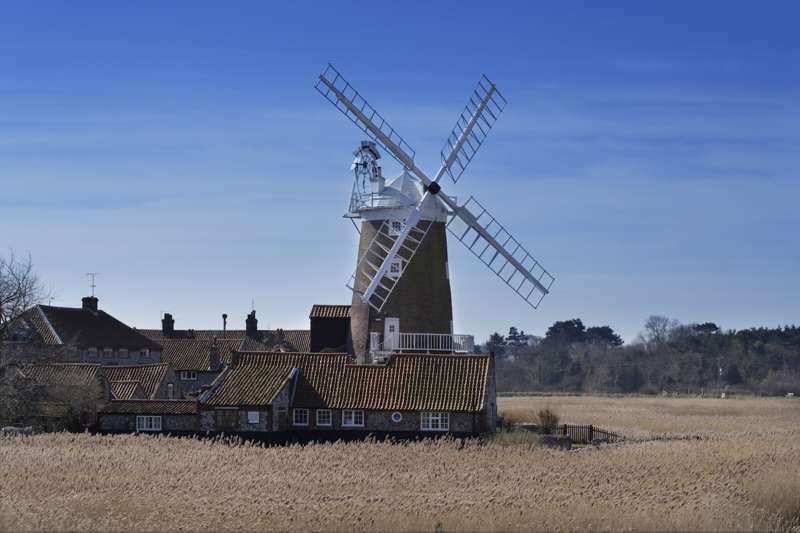 The ultimate Londoners' escape from the big city. 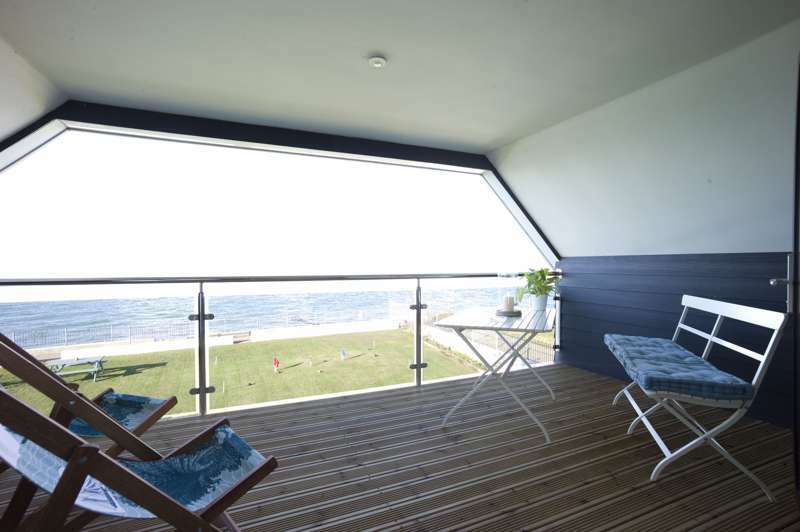 Now you can actually experience living in a lighthouse first hand and in true style. 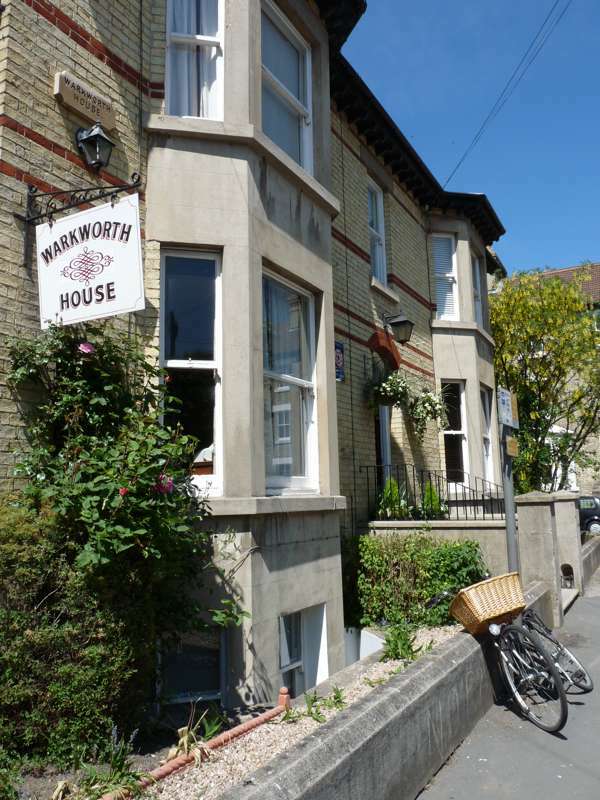 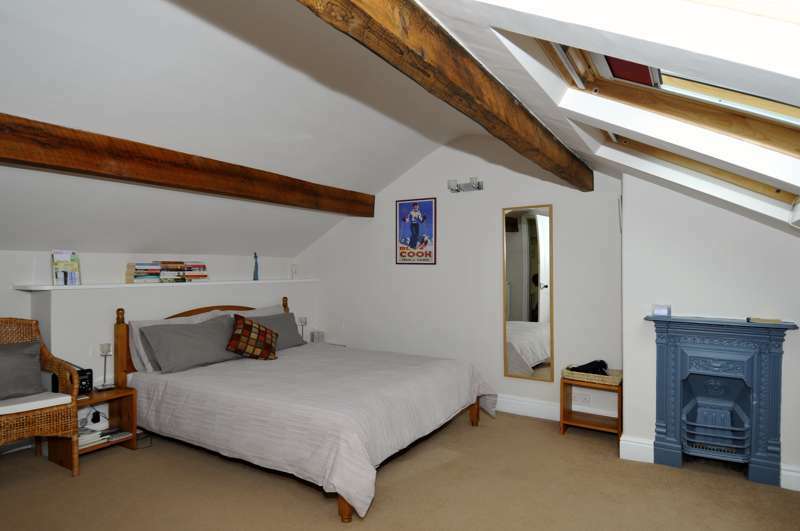 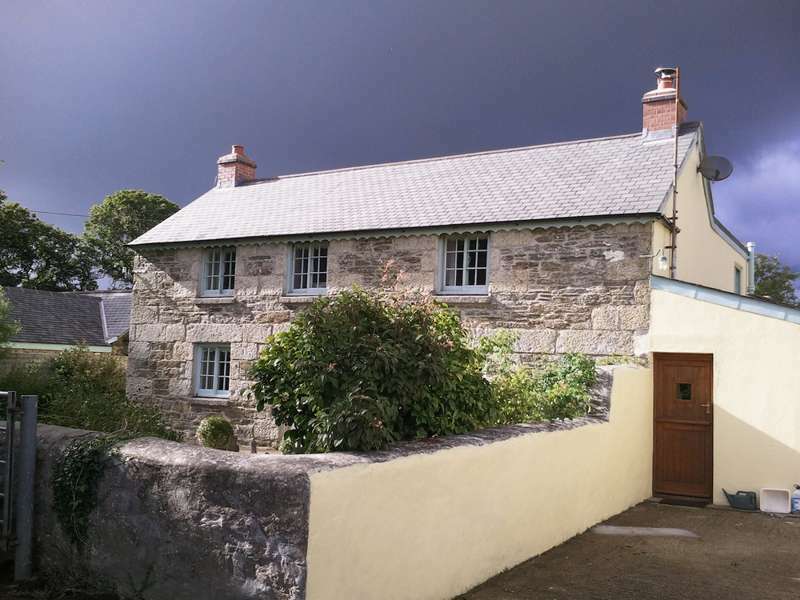 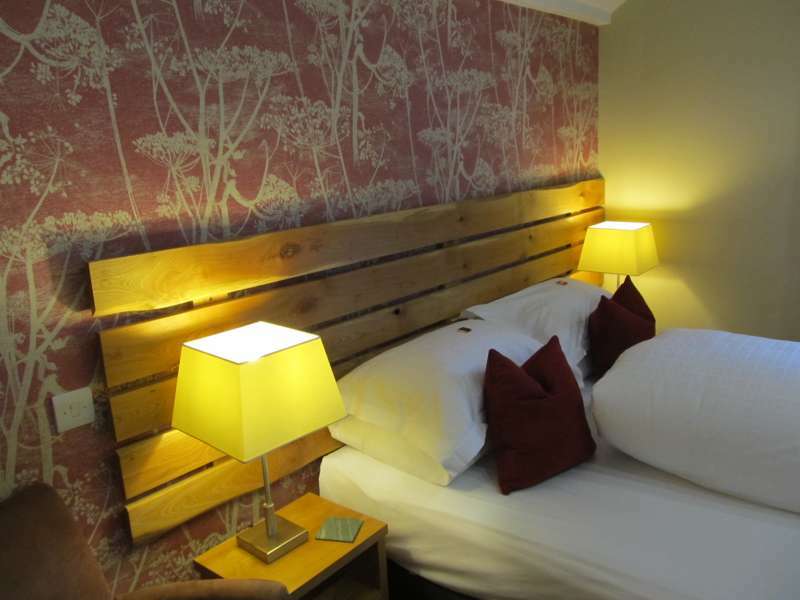 Boutique B&B in a beautiful Somerset village within easy reach of Bath. 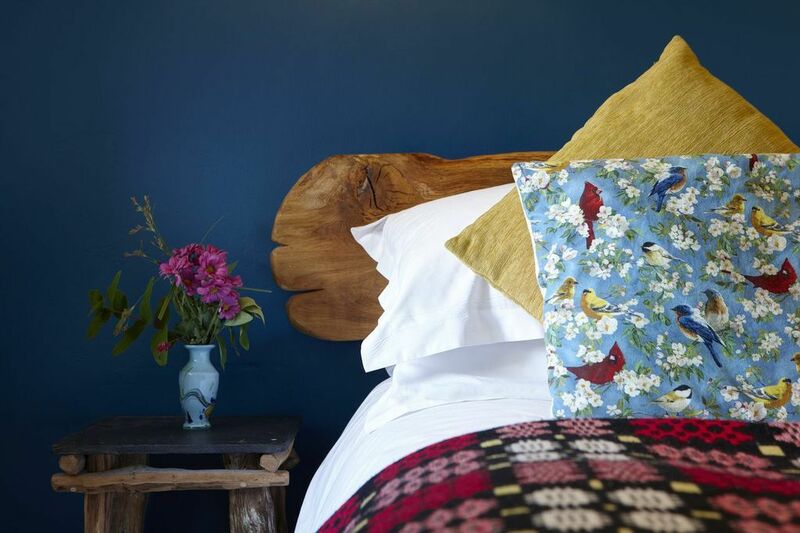 The majority of the population of the UK lives in a town or city, so it's little wonder that we all like to get out to the countryside from time to time, and that the one of the most popular ways to do so is in a rural Bed & Breakfast, where we can really pretend we're at one with nature a short while. 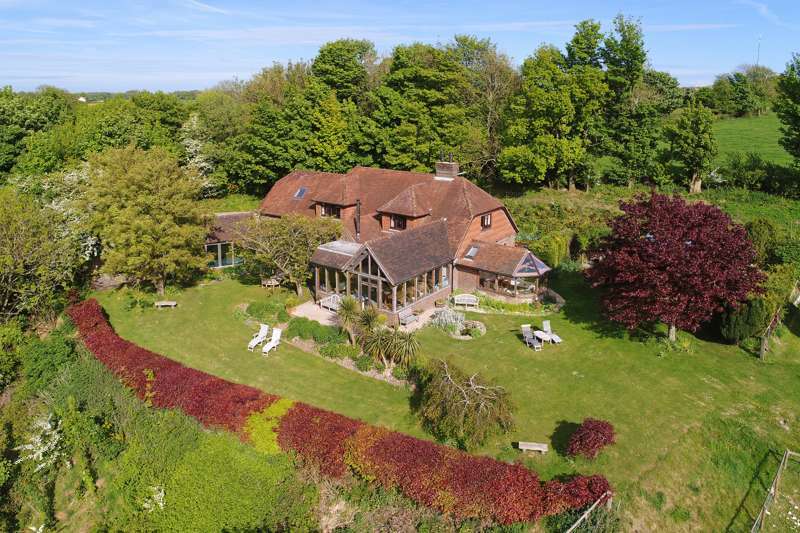 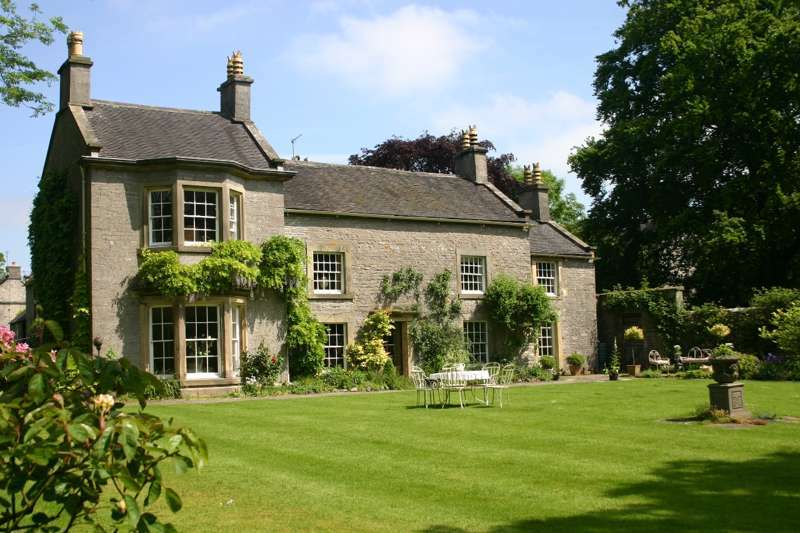 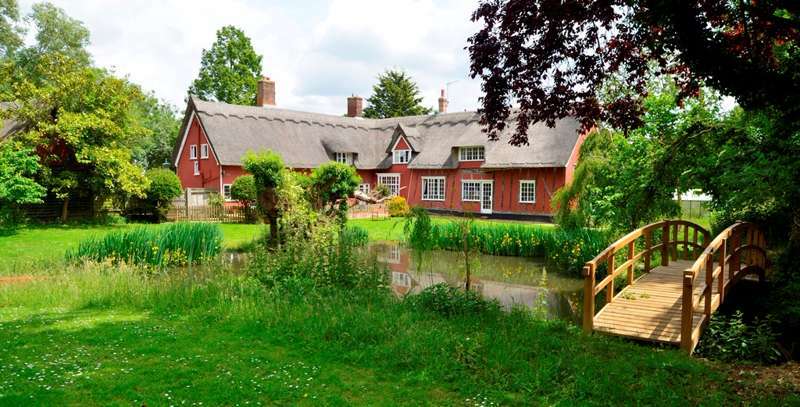 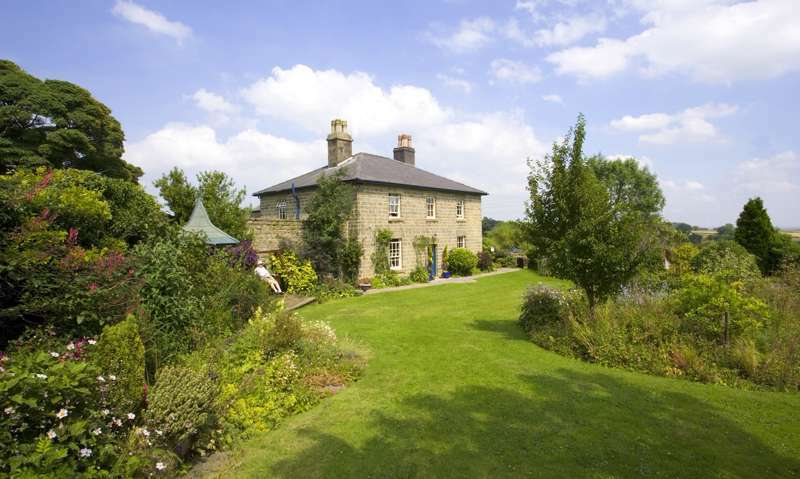 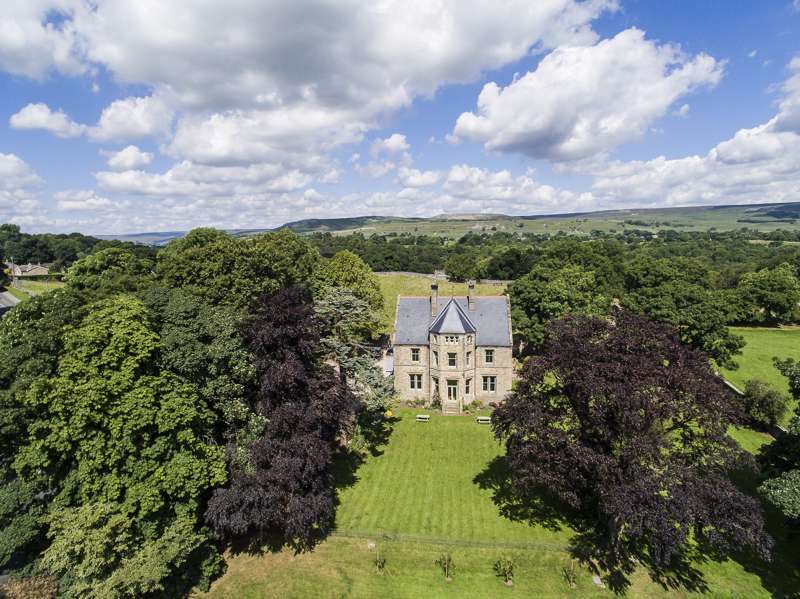 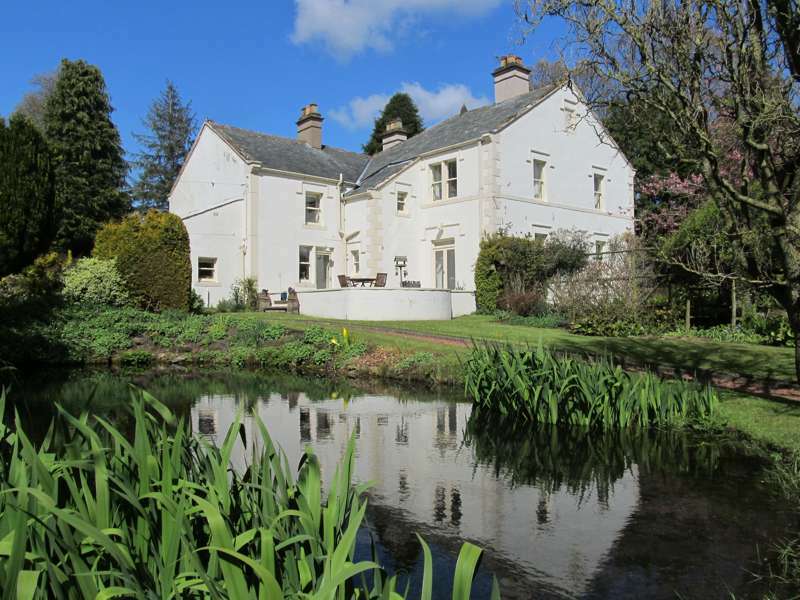 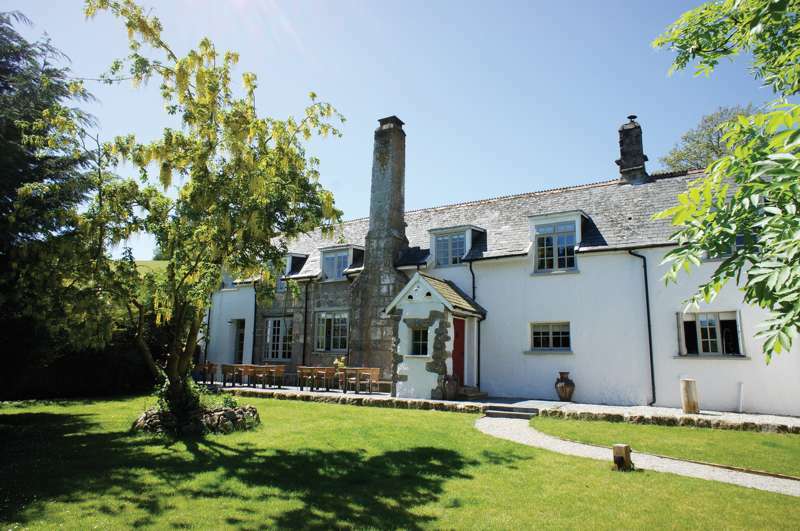 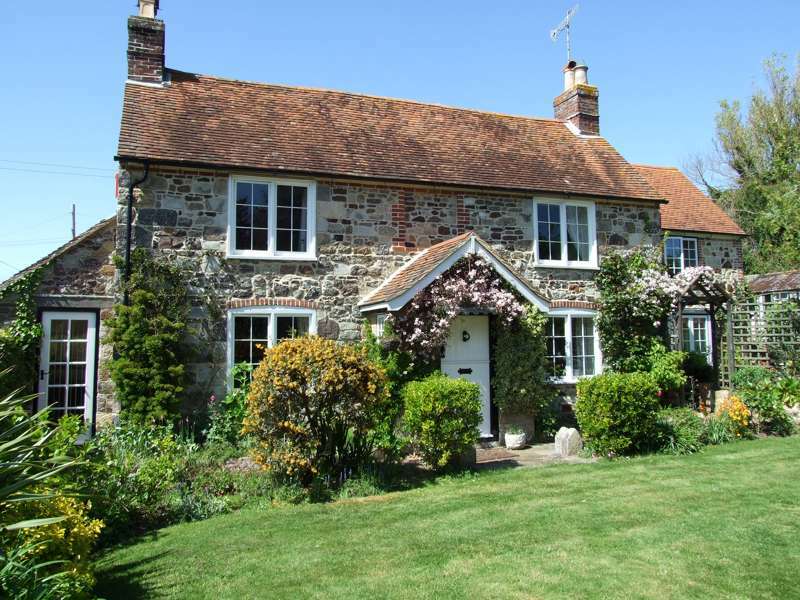 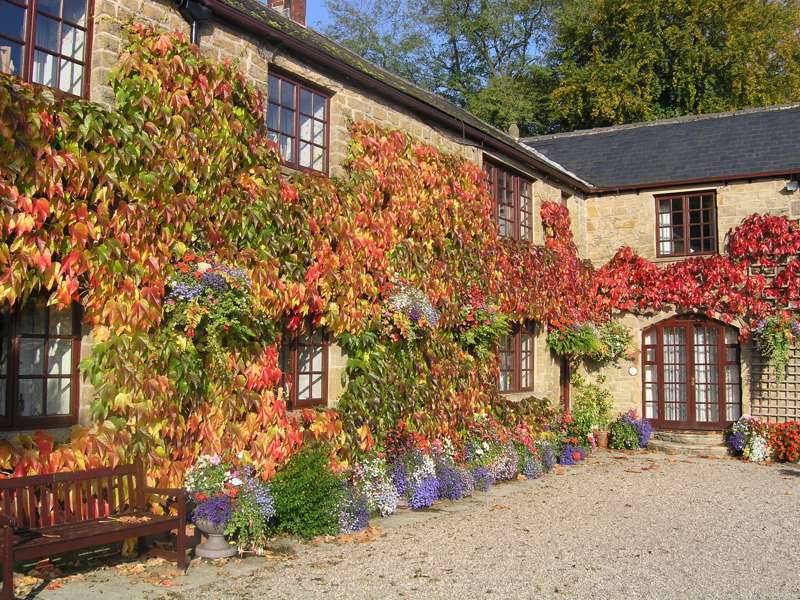 We have a great selection of country B&Bs in the country, in all sorts of appealing locations all over the UK, including some of the best countryside B&Bs in England. 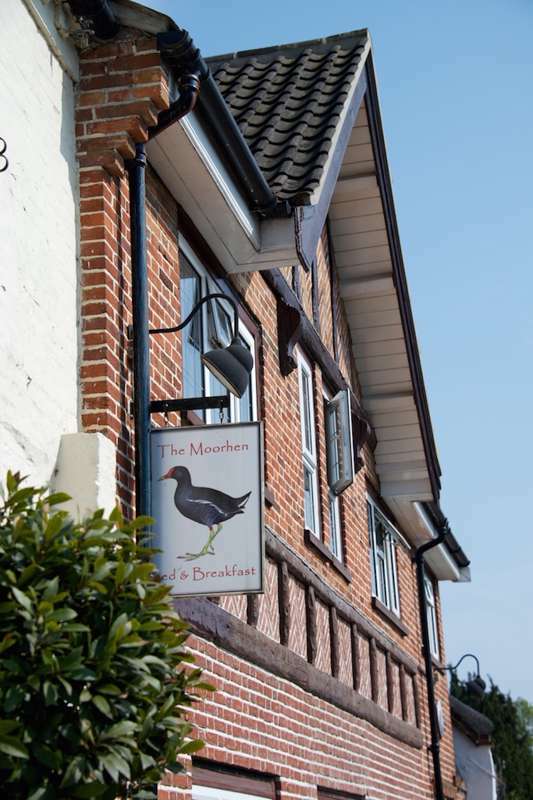 Whether it's in a picturesque rural village a short walk from the pub or in the middle of nowhere, we reckon we'll definitely to have something to tempt you. 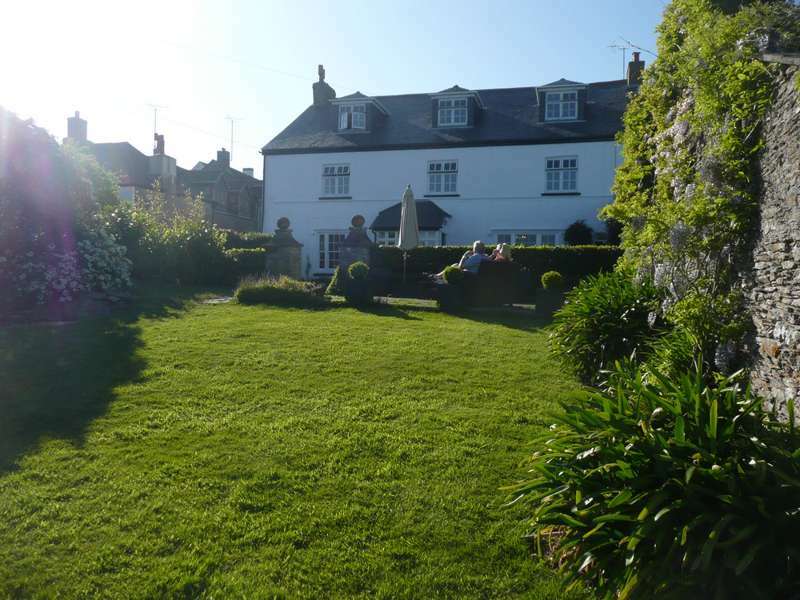 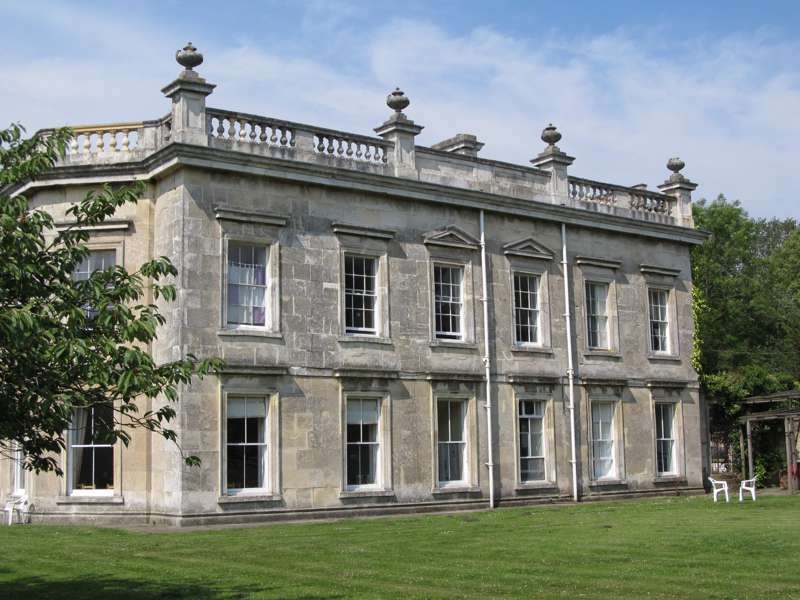 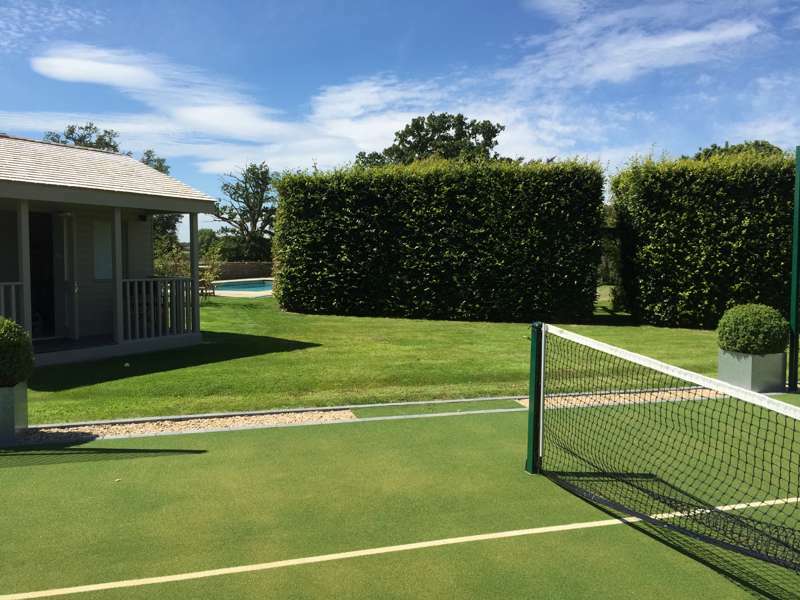 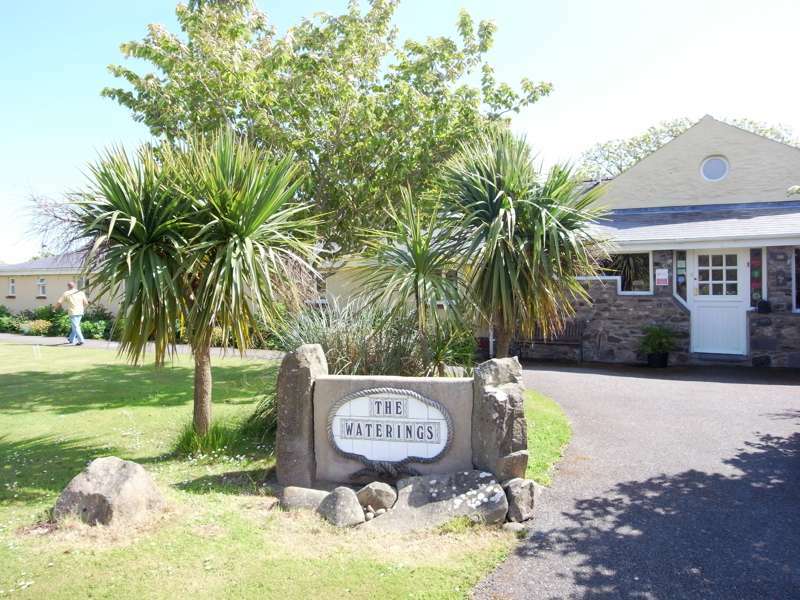 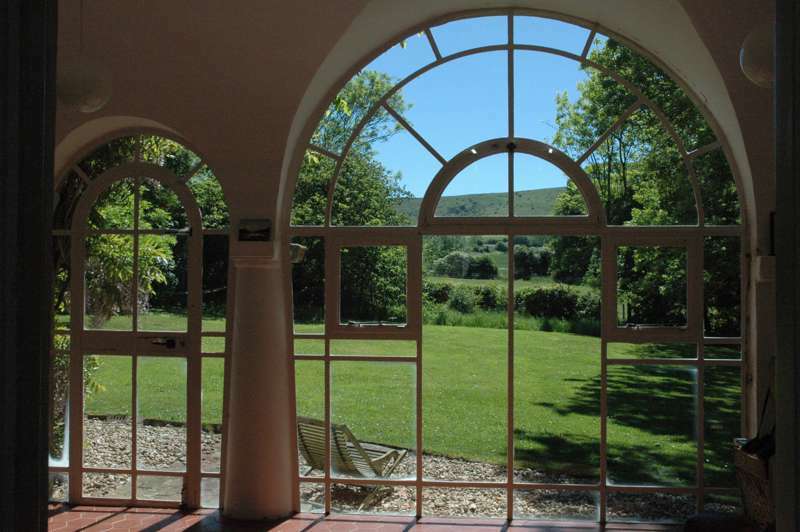 A peaceful B&B with its own pool and tennis court, amidst beautiful Somerset countryside. 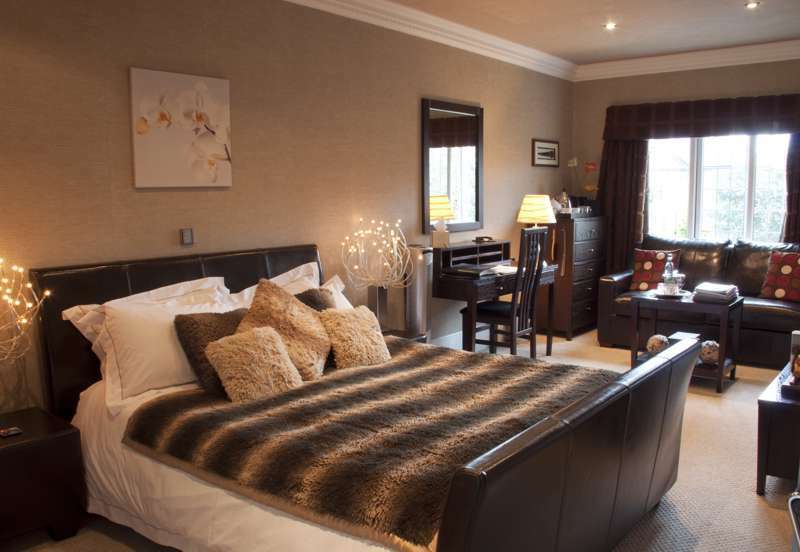 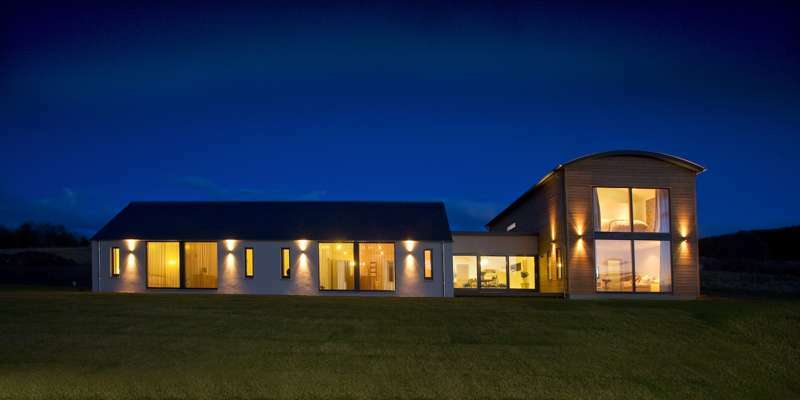 A contemporary B&B with a breathtaking location and exquisite views across Loch Linnhe. 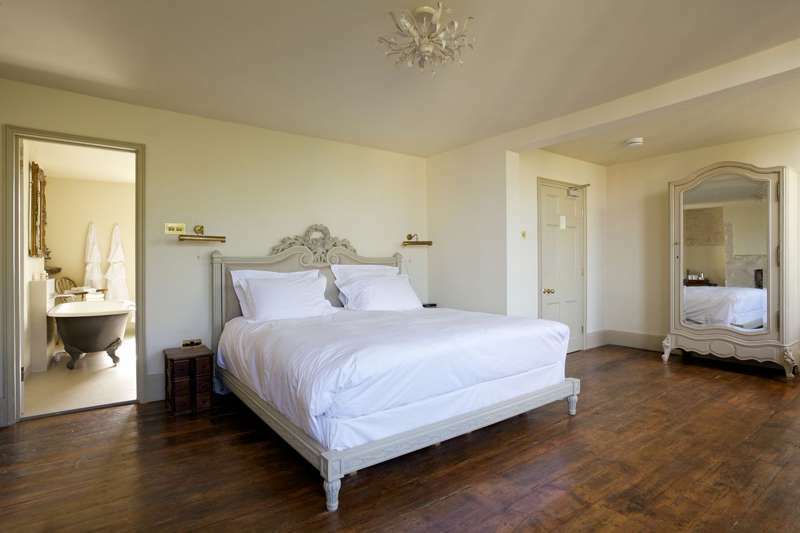 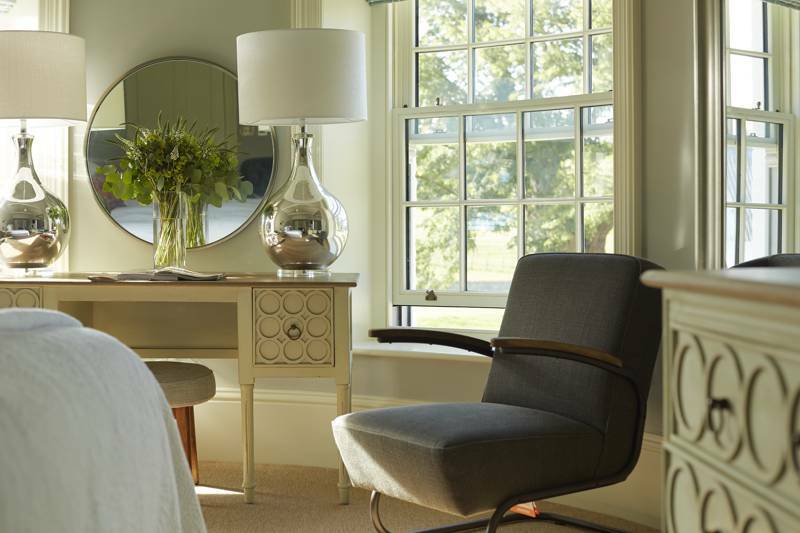 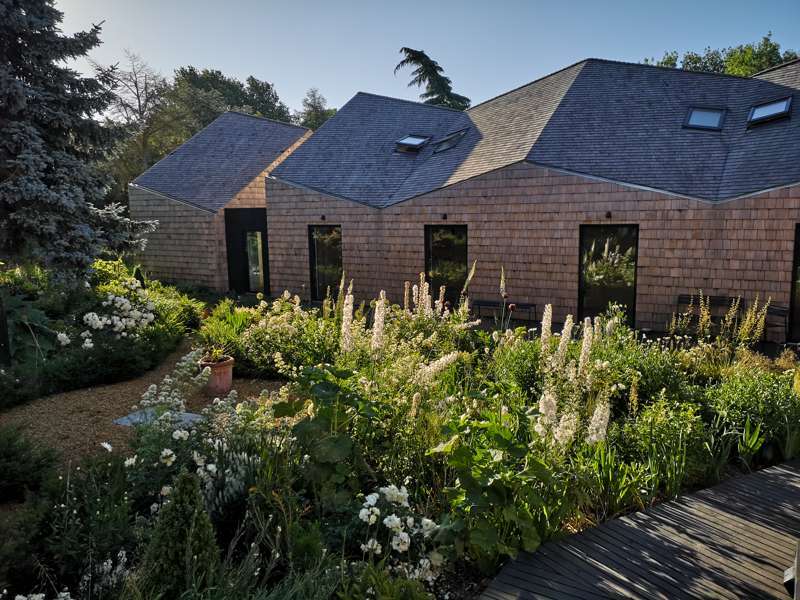 A luxury, contemporary B&B in a beautiful Somerset location – and where nothing is too much trouble. 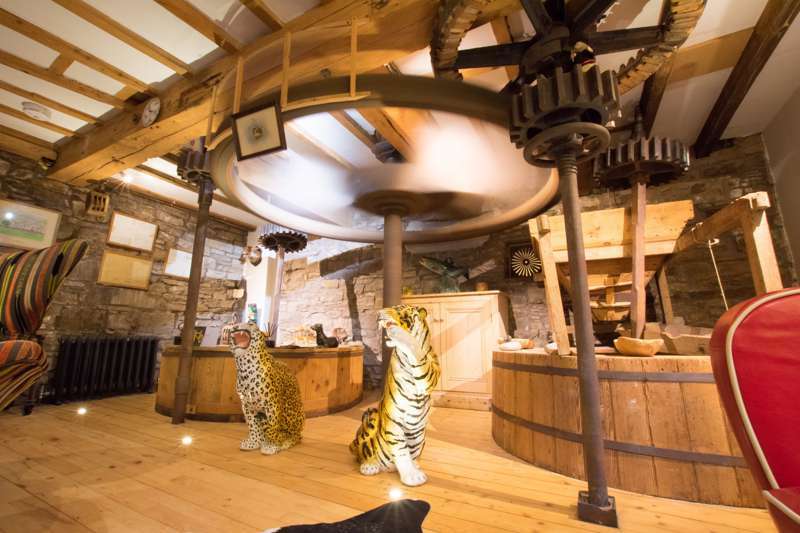 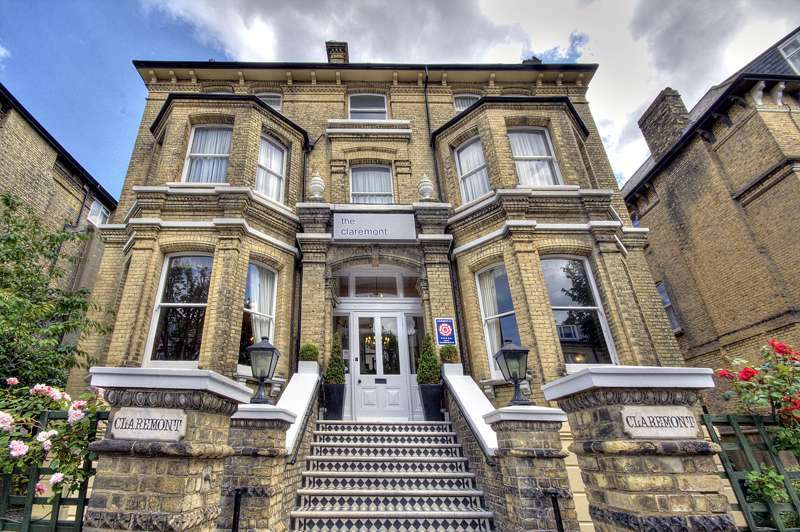 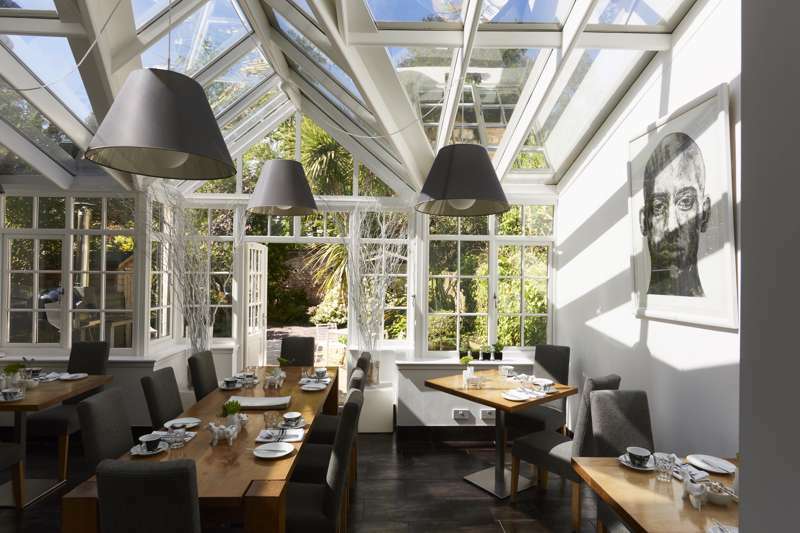 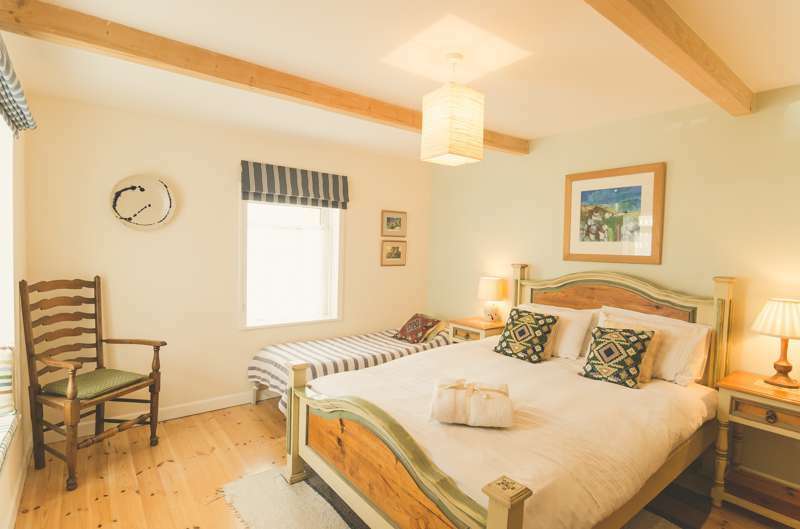 The Bed & Breakfast has been with us in the UK for a long time, but in common with other kinds of accommodation it has raised its game over recent years, with owners laying on a range of features that often wouldn't disgrace a high-end small hotel. 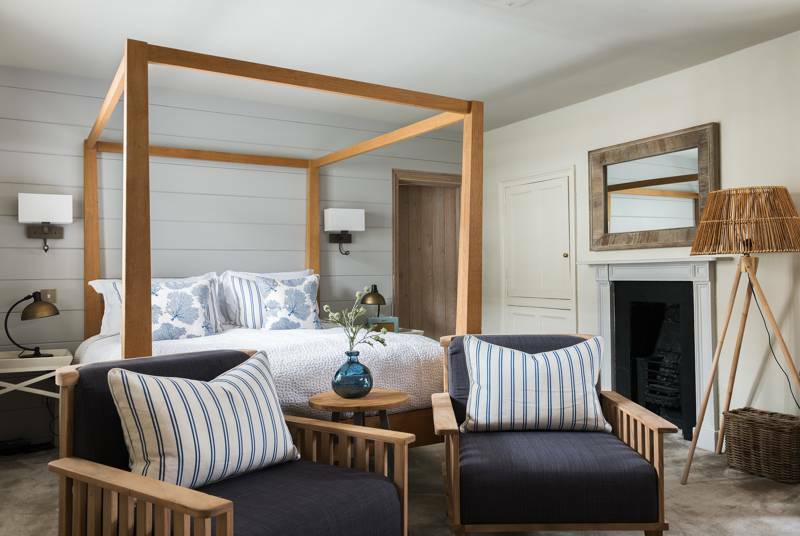 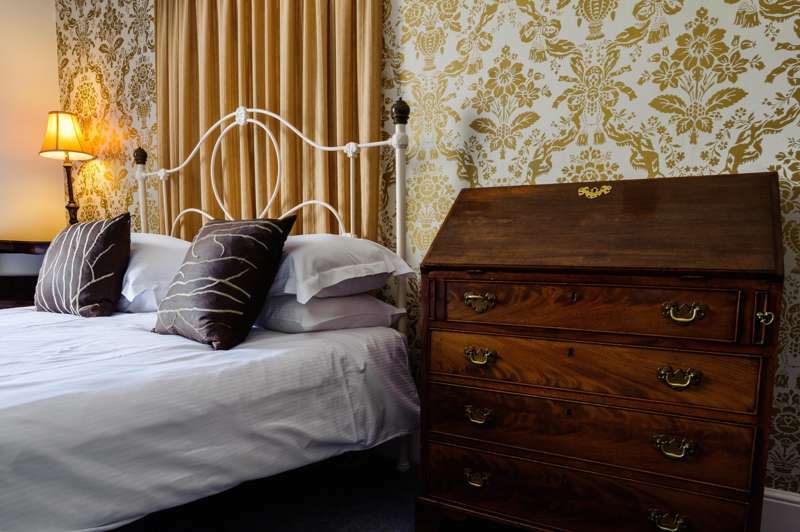 The Bed bit of the equation in boutique B&Bs is often well-chosen and a lot more comfortable than in days gone by; decor is crisp and contemporary; and refurbished en-suite bathrooms feature posh toiletries, power showers and even robes. 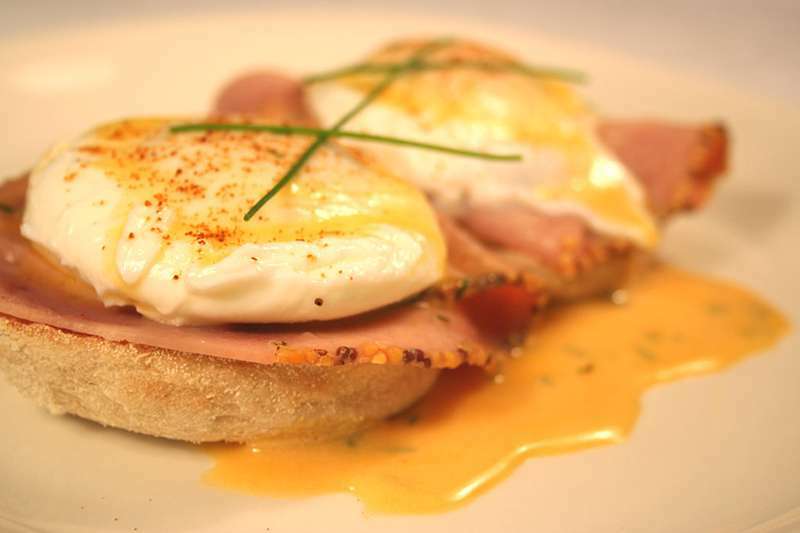 And the breakfast? 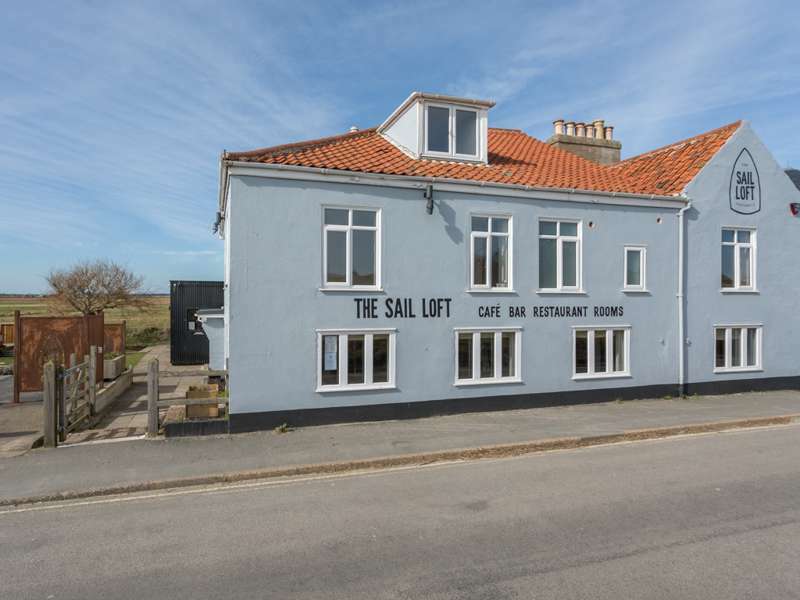 There is more of an emphasis on quality here too, with good cooking and locally-sourced ingredients the norm and presentation worthy of a gourmet restaurant. 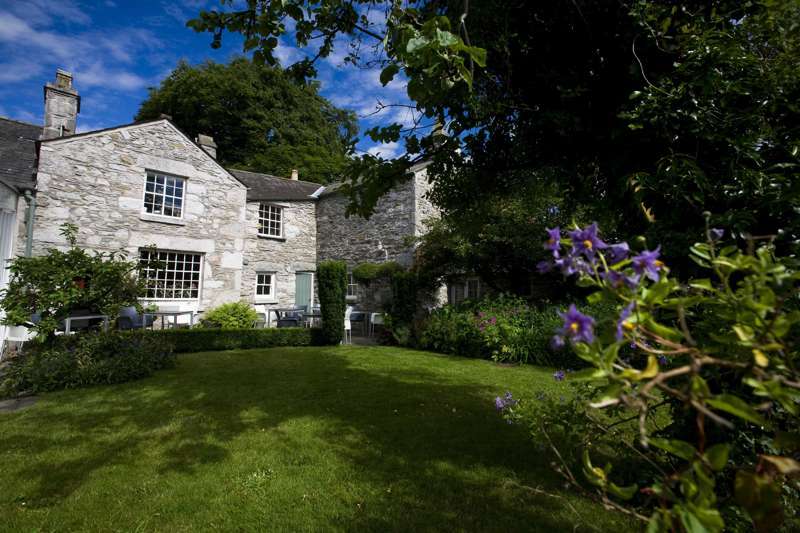 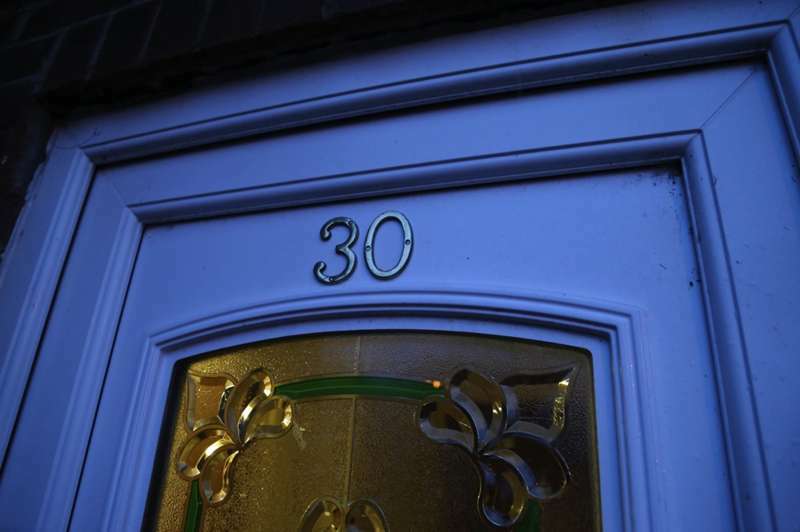 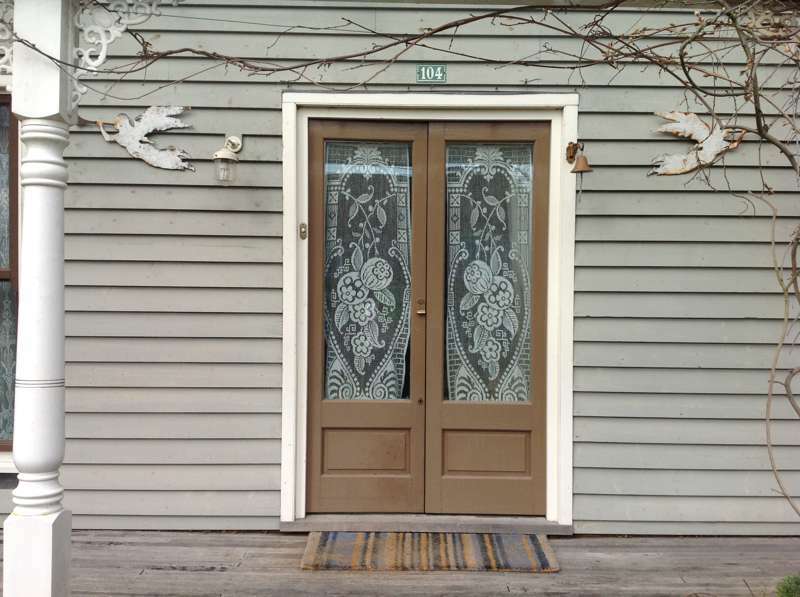 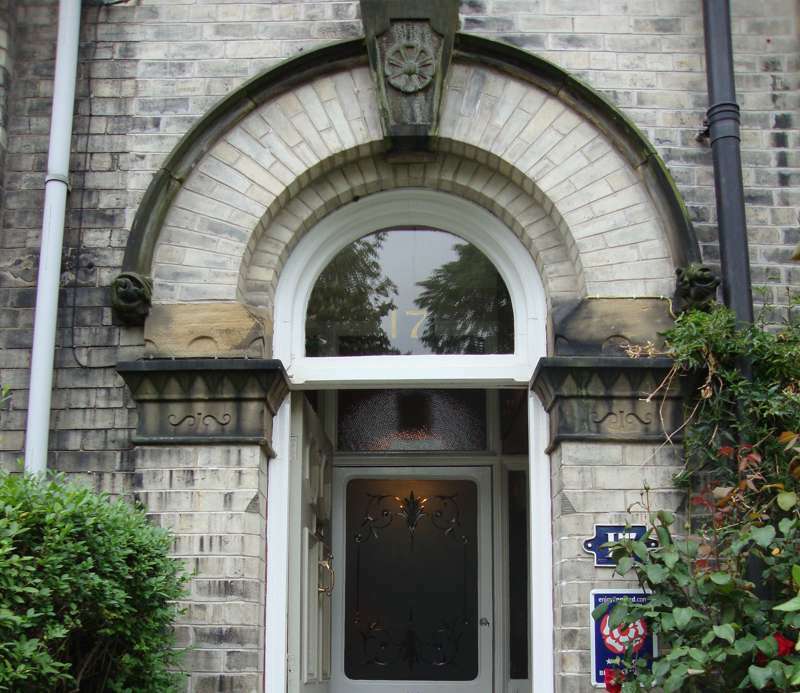 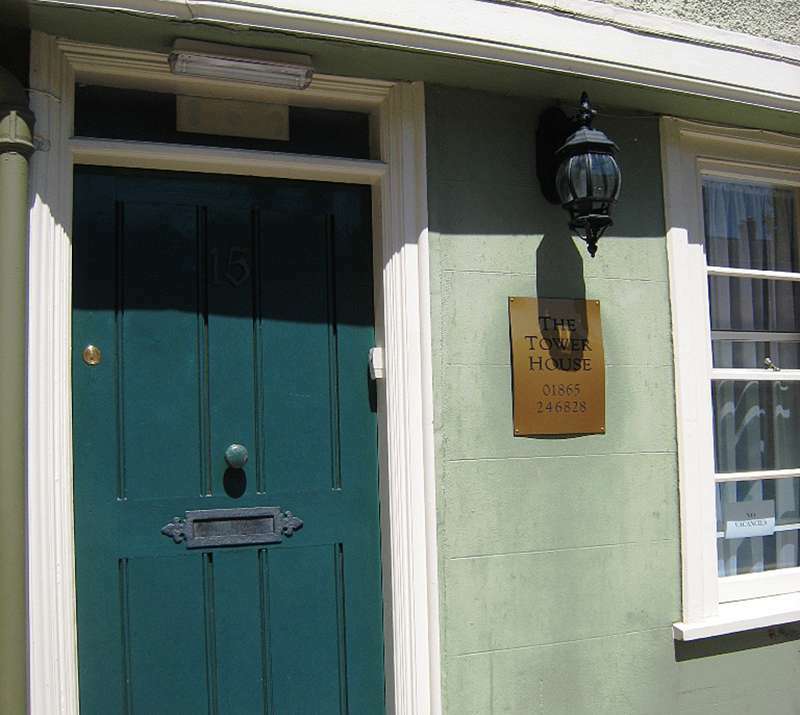 Welcome to the world of the Boutique B&B: small but perfectly formed. 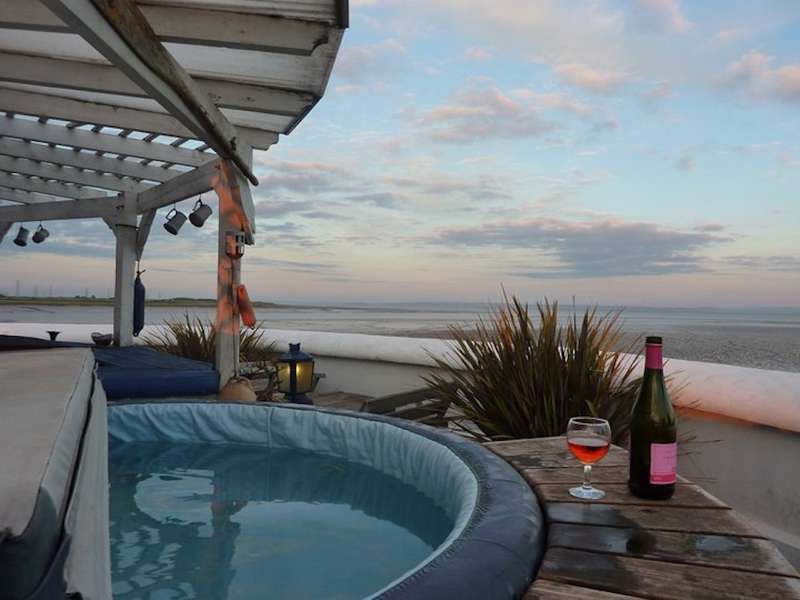 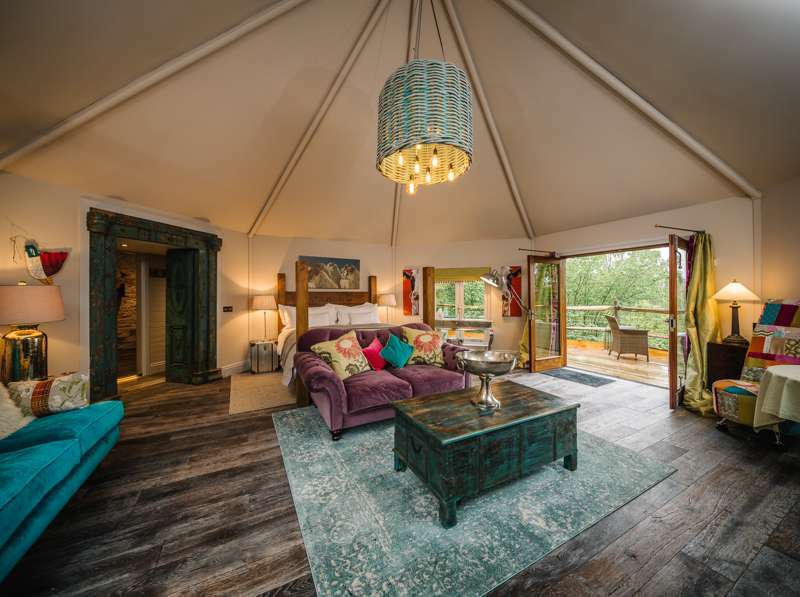 Two lovely rooms by the sea – plus a gypsy caravan! 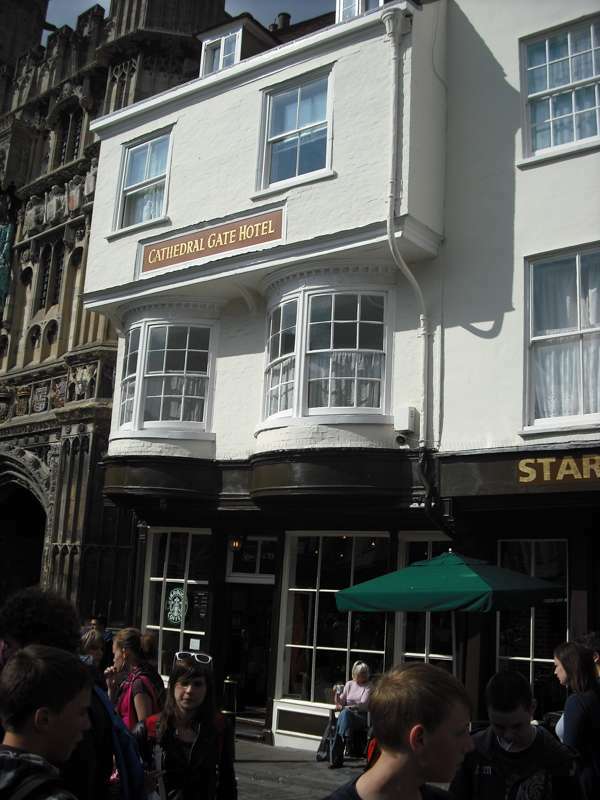 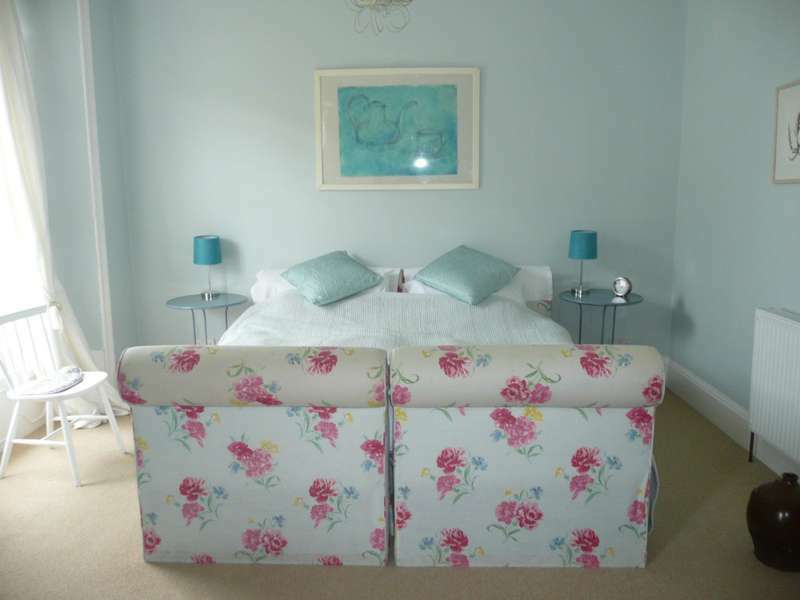 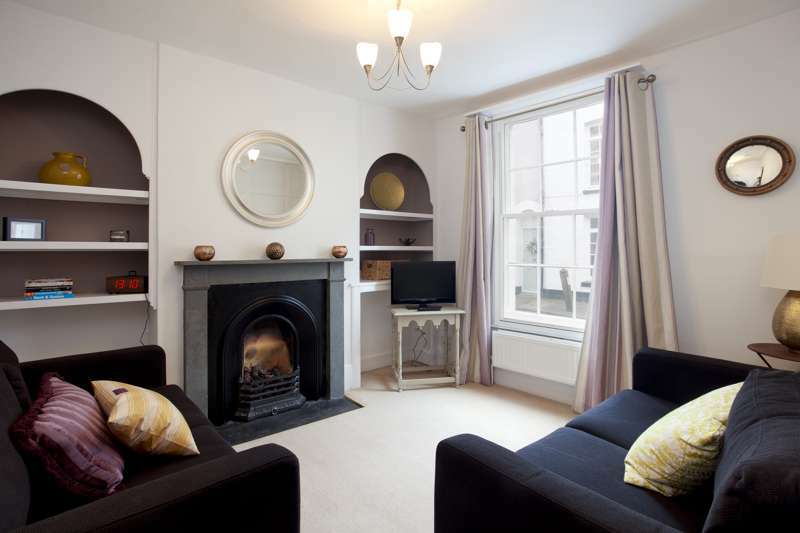 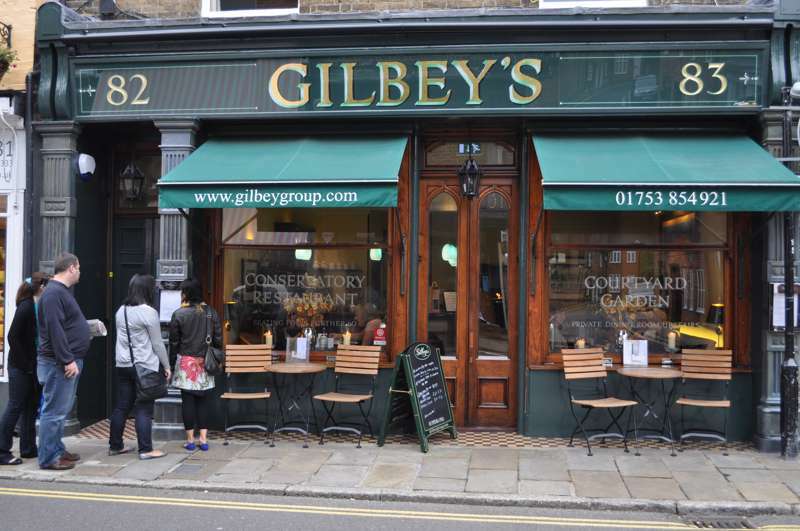 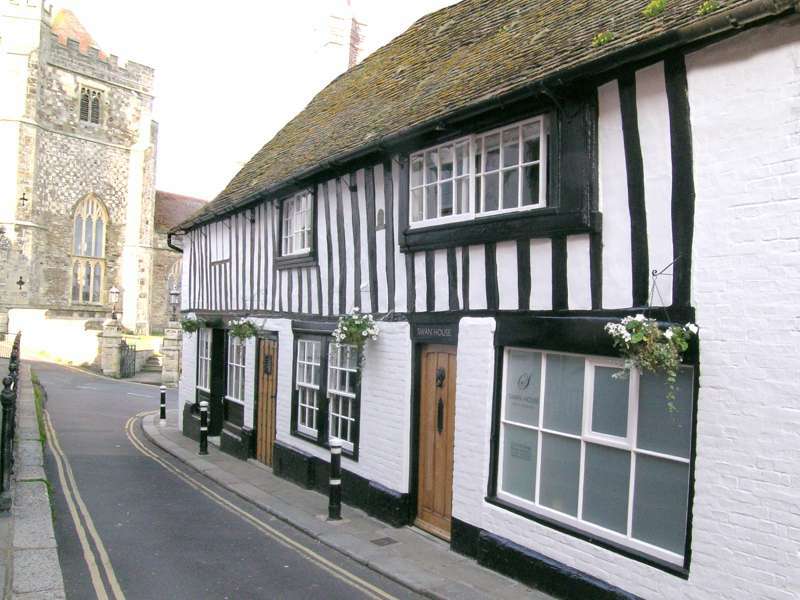 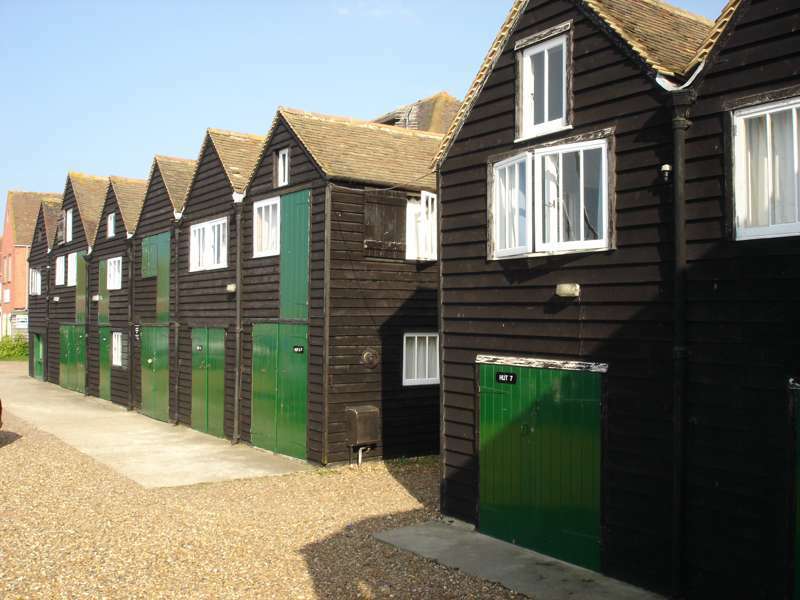 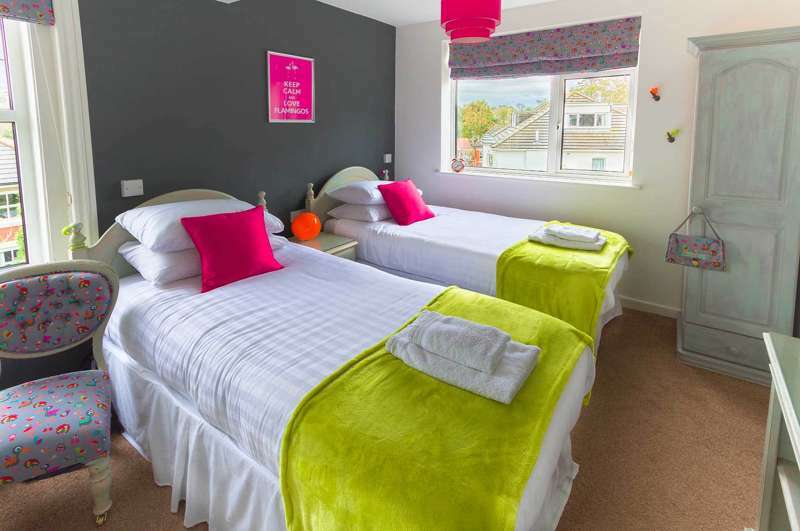 Two beautiful self-catering cottages in a brilliant position in Canterbury city centre. 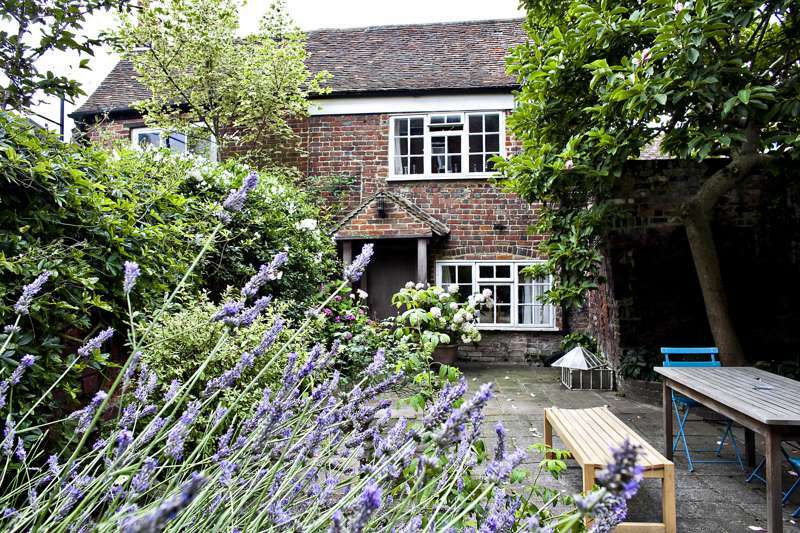 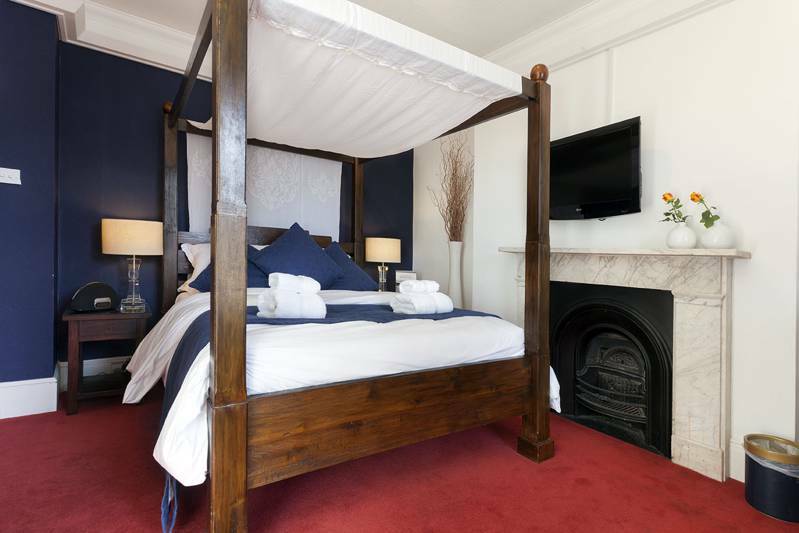 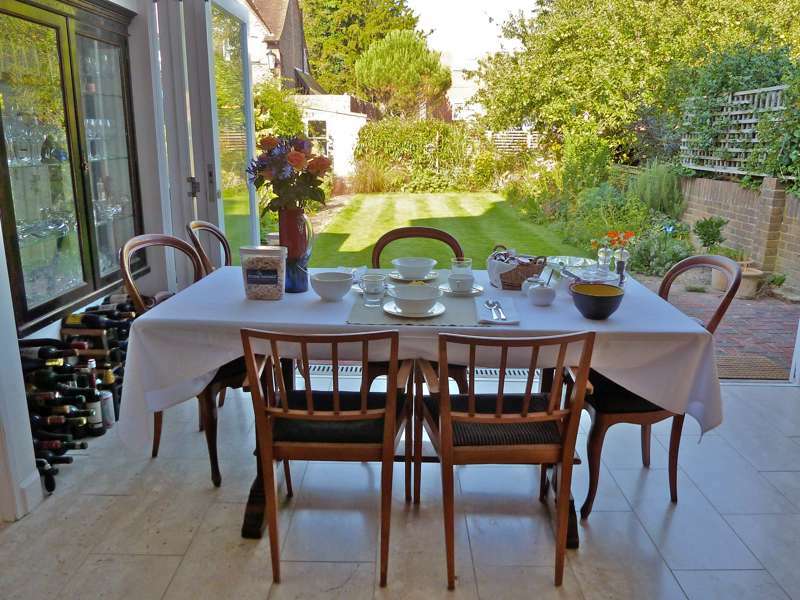 This boutique B&B delivers as warm an introduction to Canterbury as you could wish for. 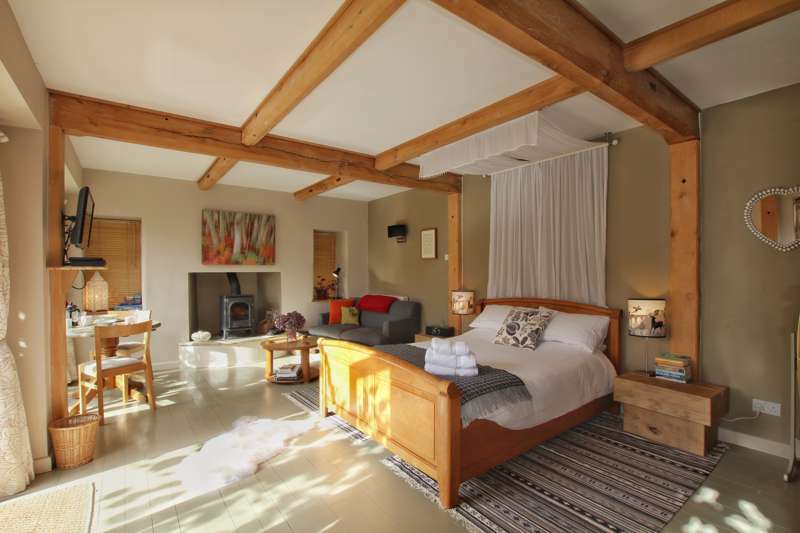 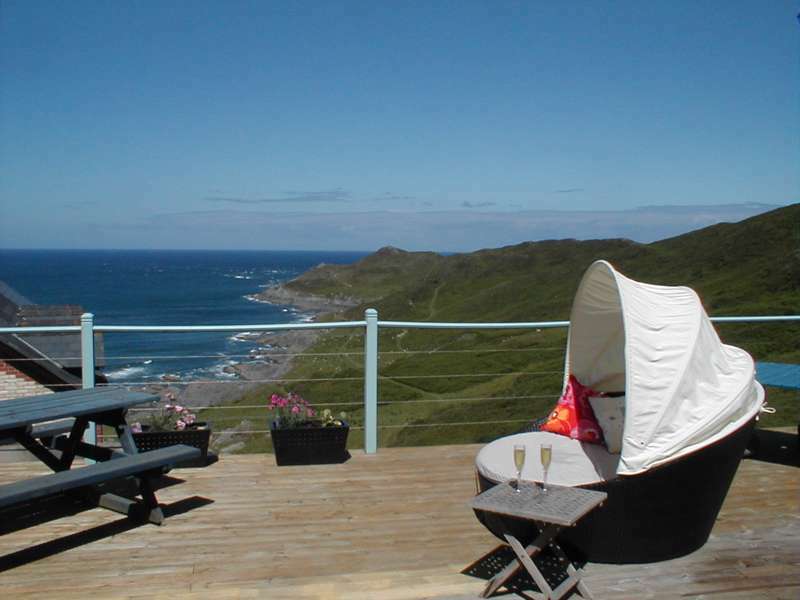 Beautiful eco-friendly B&B on the West Coast of Scotland. 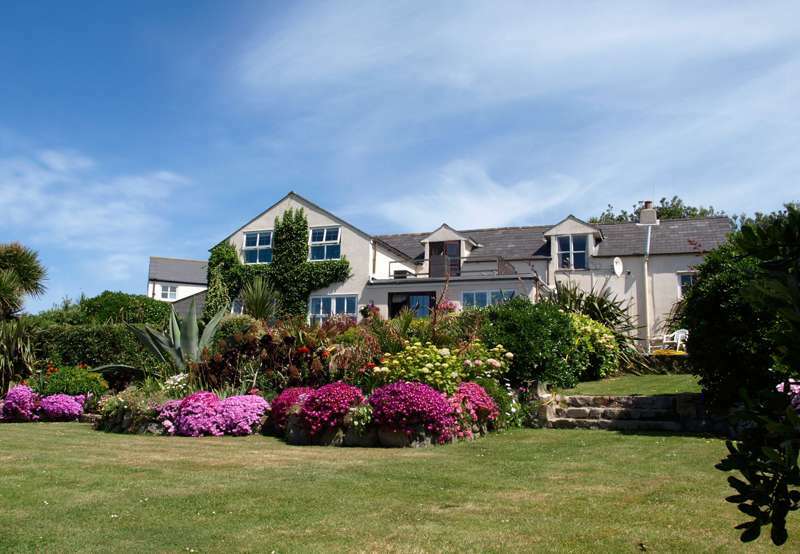 Discover where Snowdonia meets the sea, with this unique and high-end B&B. 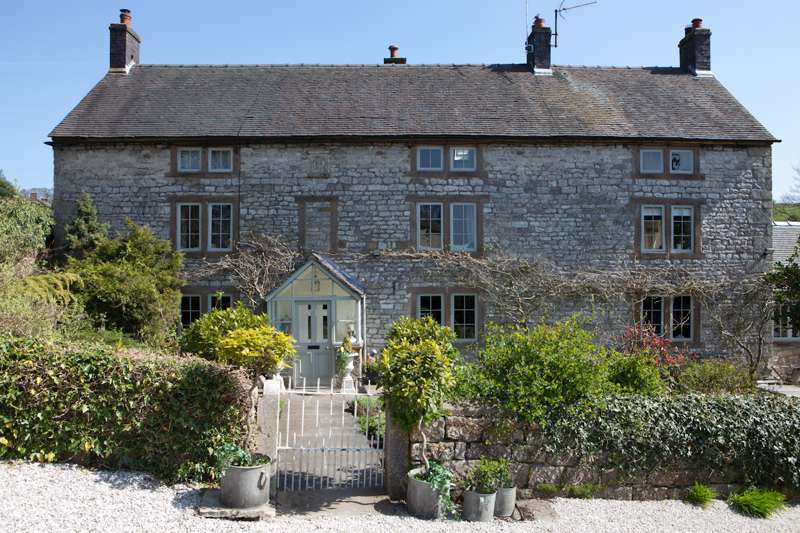 The best way to really feel like you're in the heart of the countryside is to stay in one of Britain's farmhouse B&Bs. 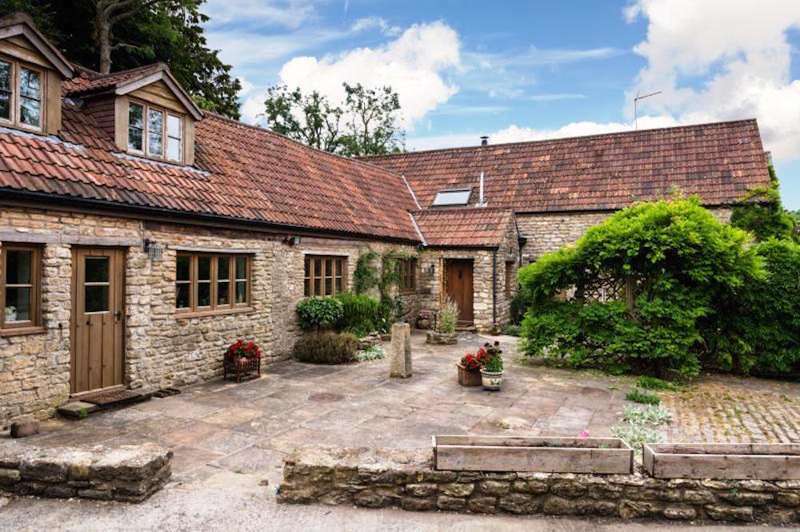 There are B&B rooms for rent on working farms all over the country, either staying in the farmhouse itself, barn conversions or other outbuildings, and they're a great option, not least because the ingredients for your breakfast are right on your doorstep! 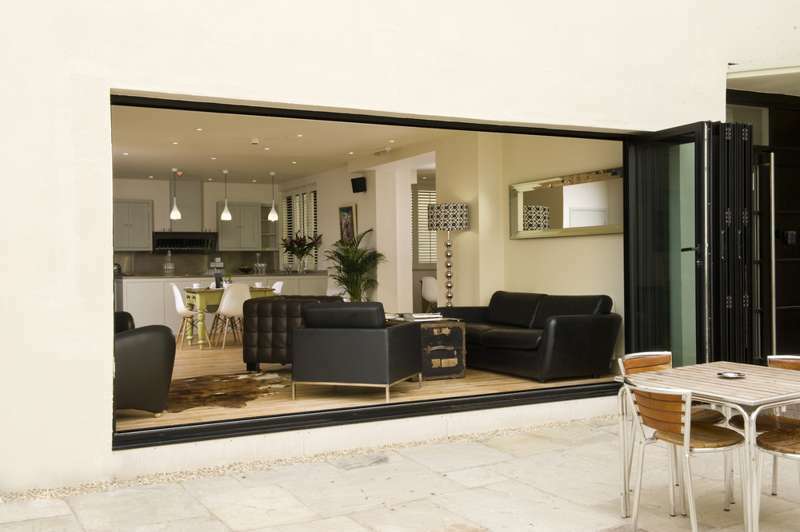 Browse our range of alternatives. 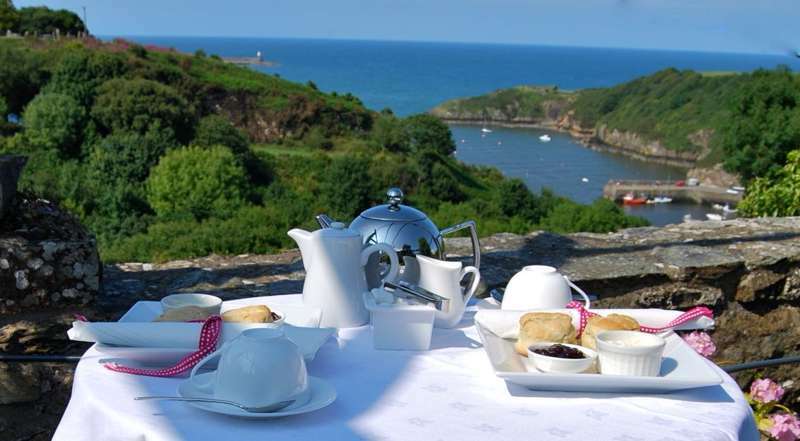 We all like to get a glimpse of the sea from time to time, and there's often nowhere better to stay in the UK than in a Bed & Breakfast by the sea. 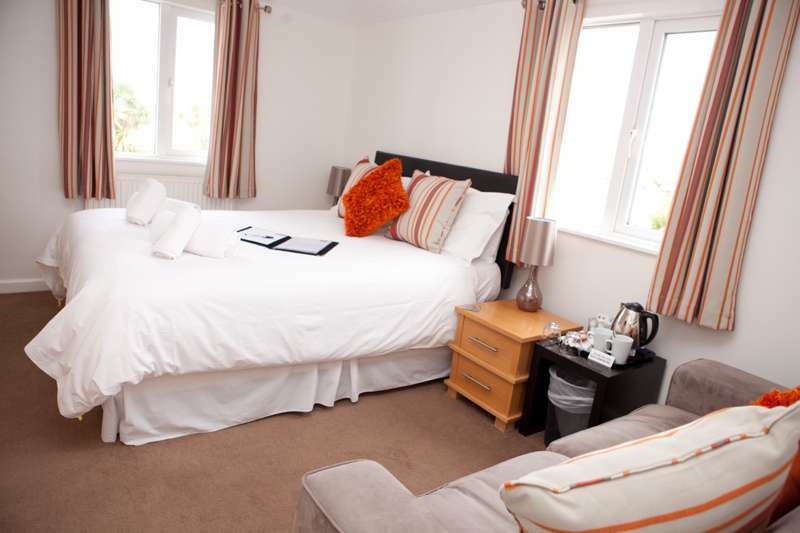 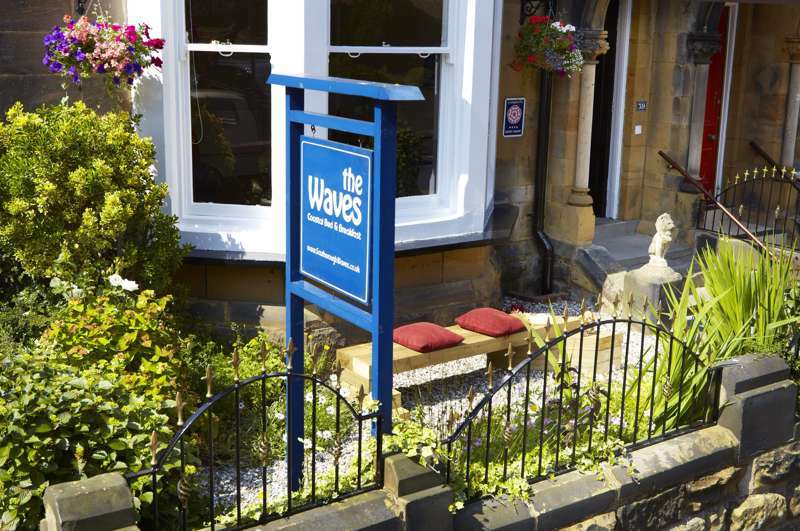 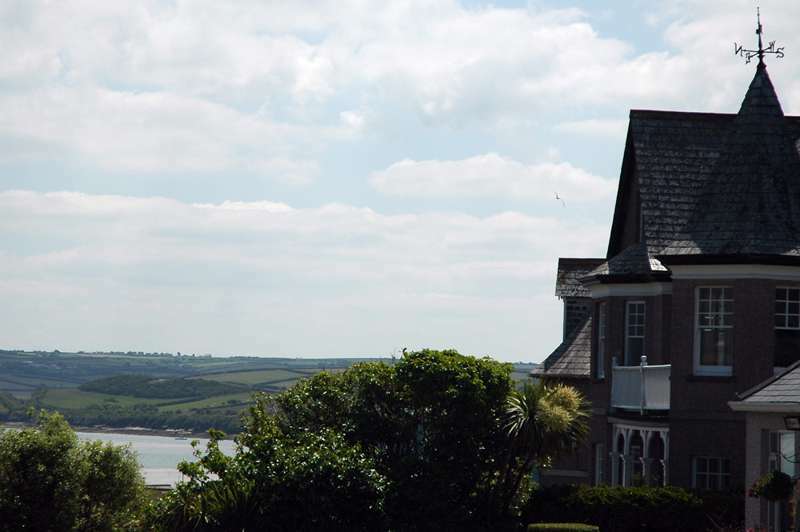 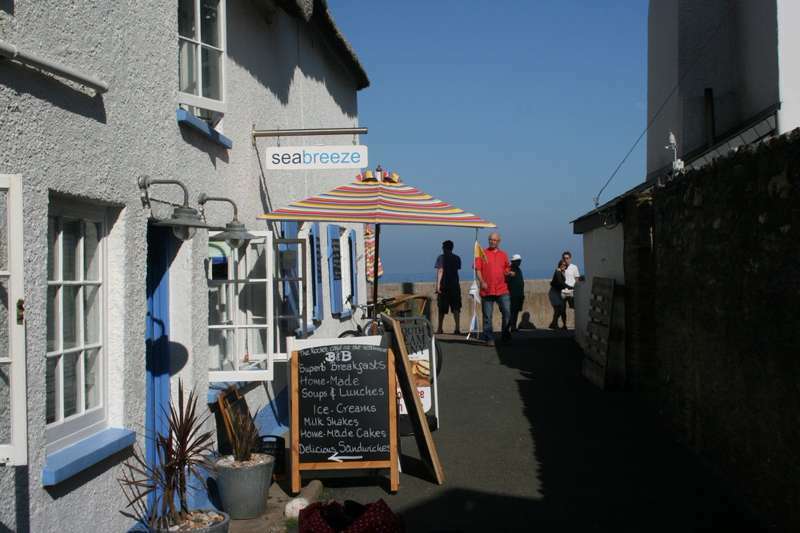 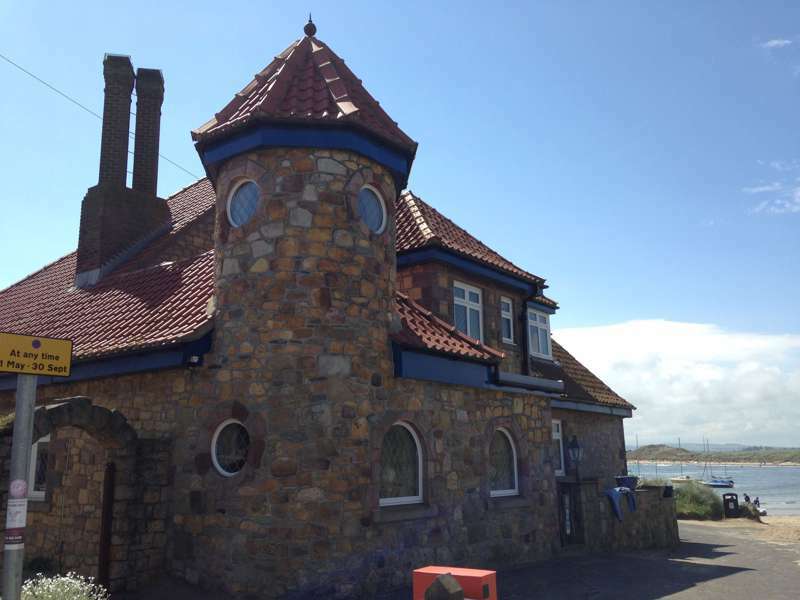 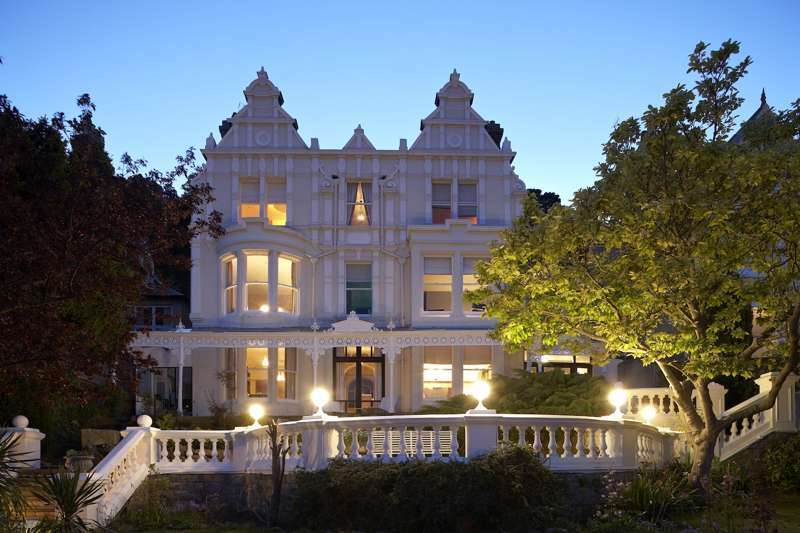 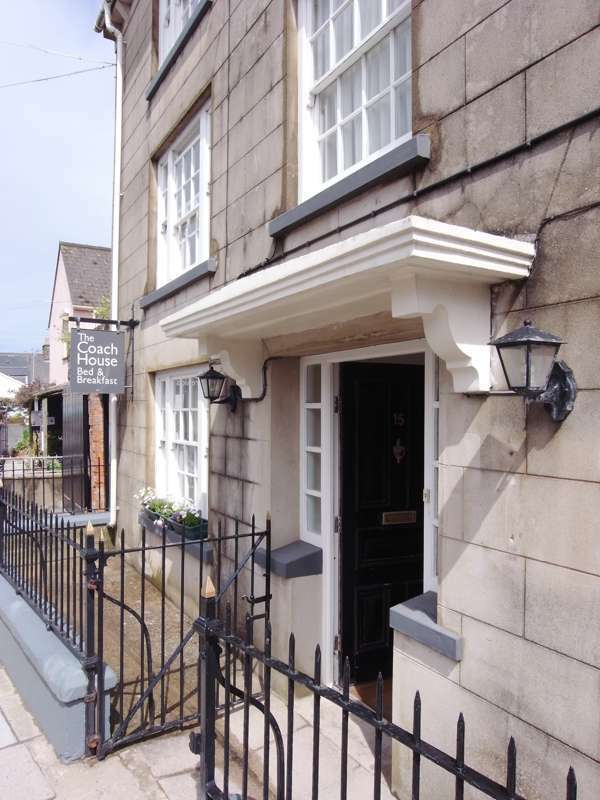 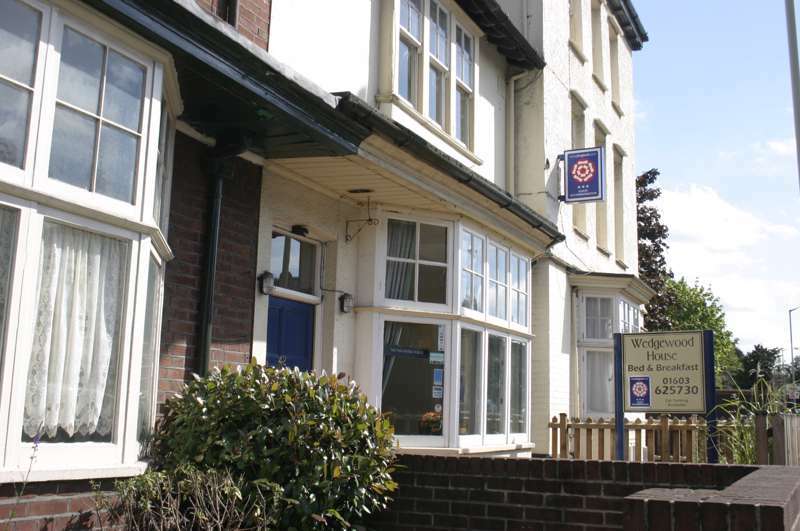 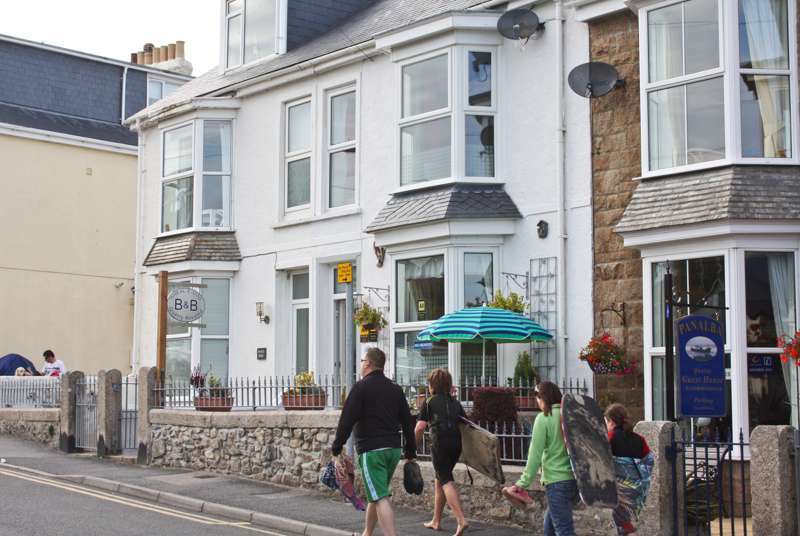 We have a great selection of seaside B&Bs to choose from, of the both traditional and boutique variety. 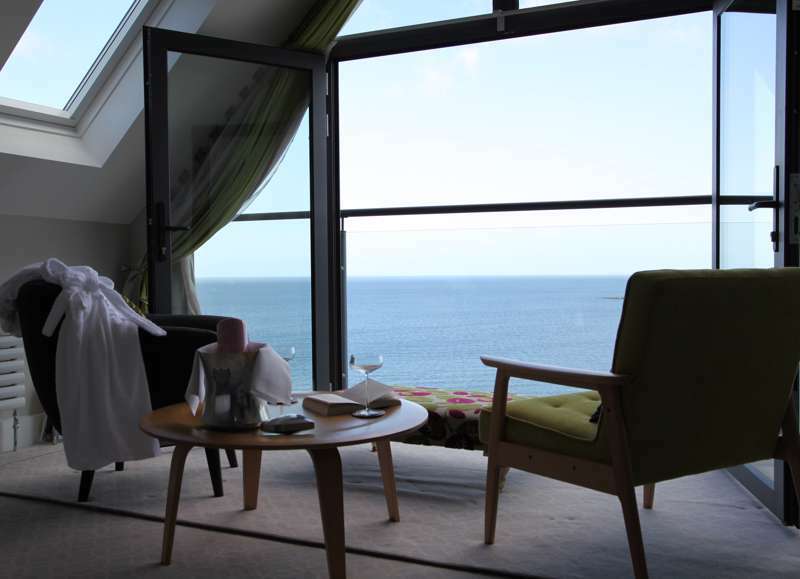 Whether you're looking for somewhere in the heart of a resort with everything on hand, or somewhere perched on top of a cliff in the middle of nowhere, we're pretty sure we'll have something to tempt you. 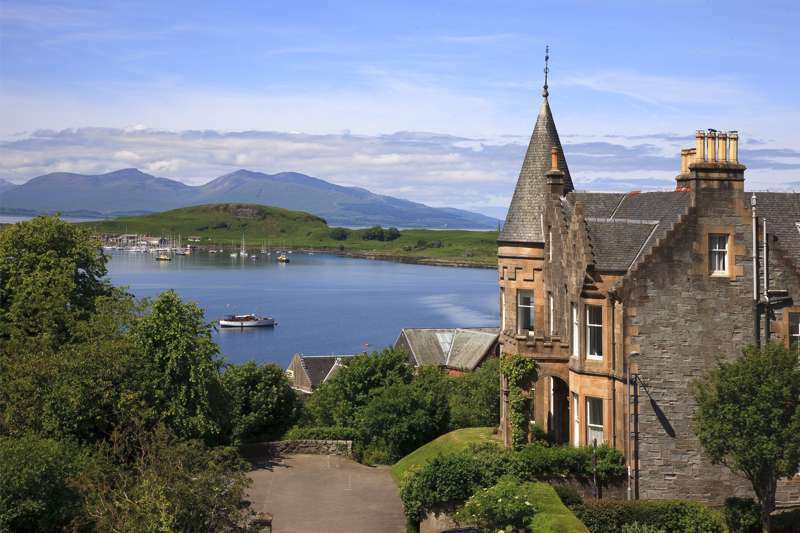 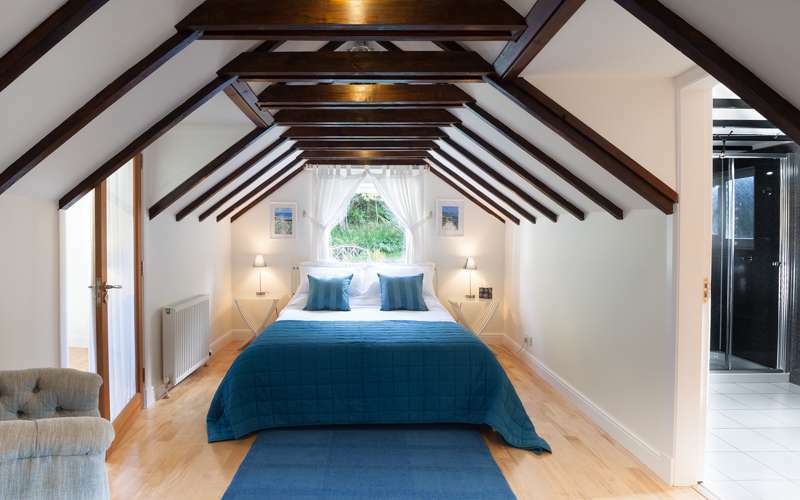 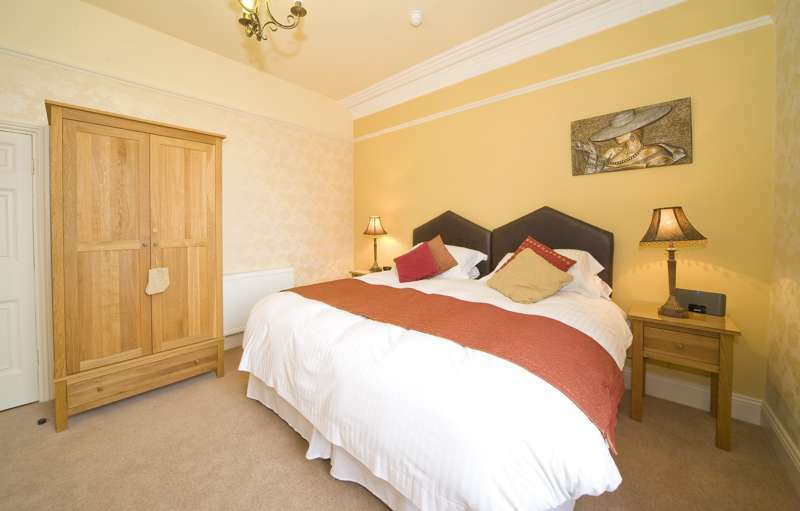 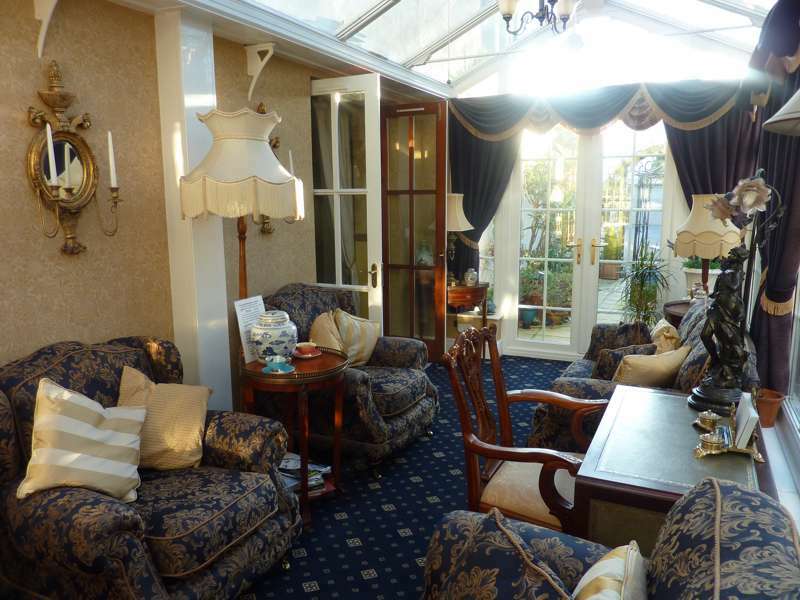 A stylish and very comfortable B&B in the centre of Oban, with stunning views. 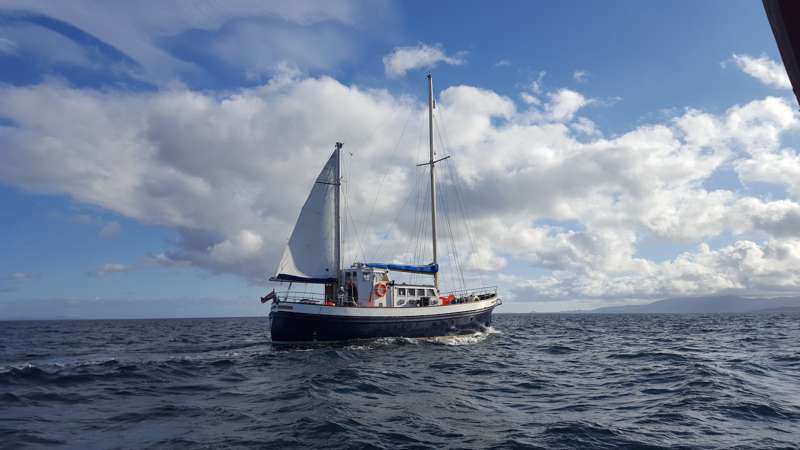 The Scottish islands' most unusual B&B, set on a beautiful wooden tall ship. 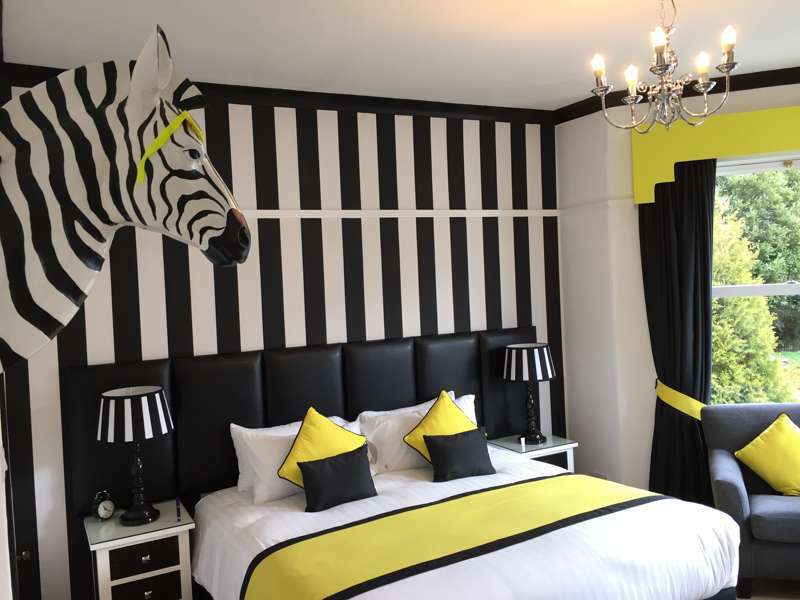 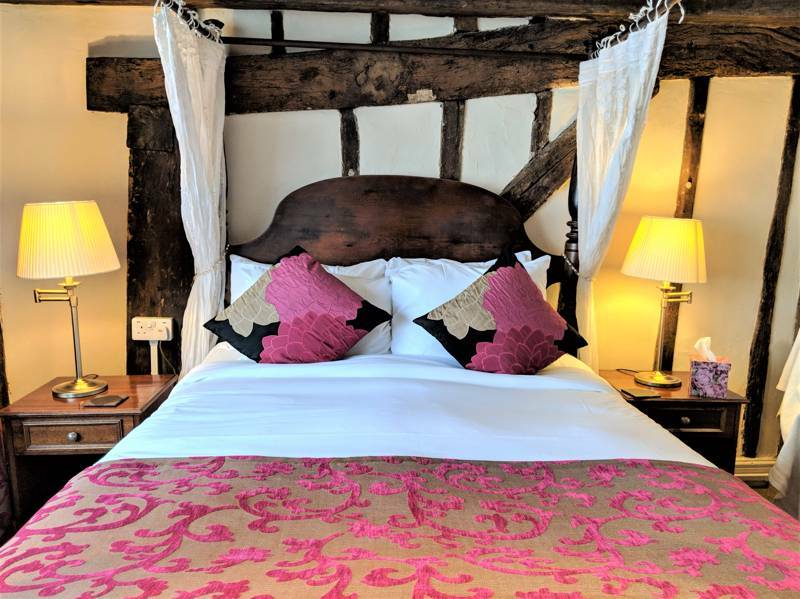 You might not think of staying in a B&B when you're planning a city or weekend break, but the fact is B&Bs often enjoy some of the best and most central locations in UK towns and cities. 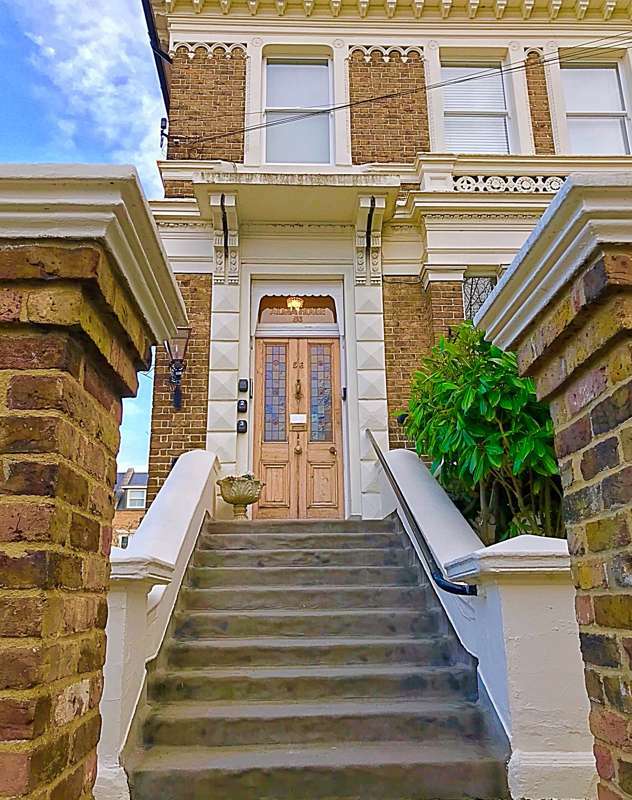 Not only that they're usually cheaper and the owners are on hand to give a friendly insight into the best bits of their home patch – advice that is often pure gold dust. 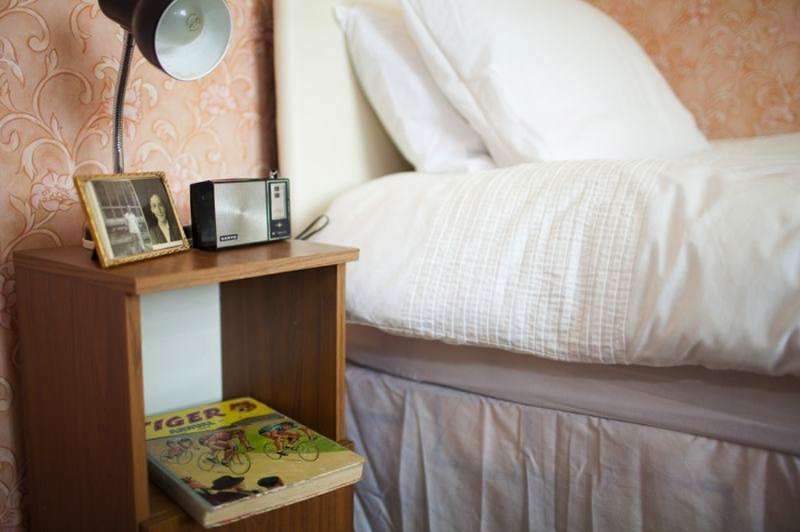 So check out our selection of cool city B&Bs and start planning your trip. 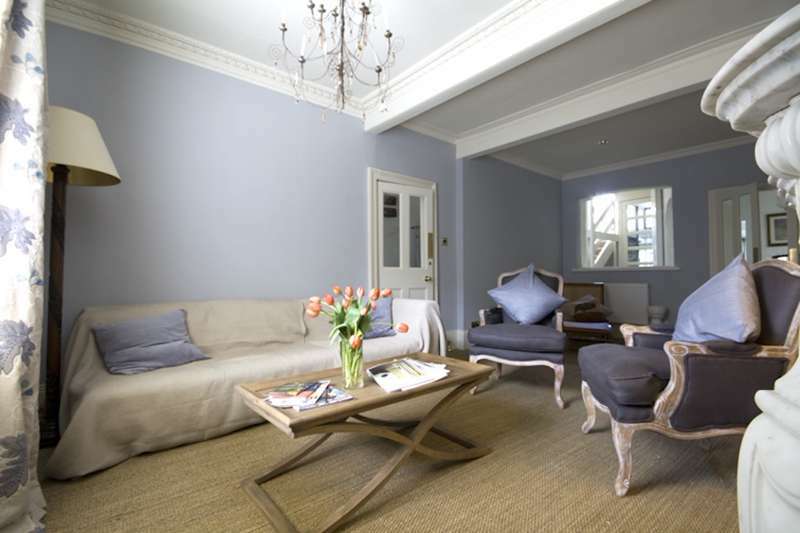 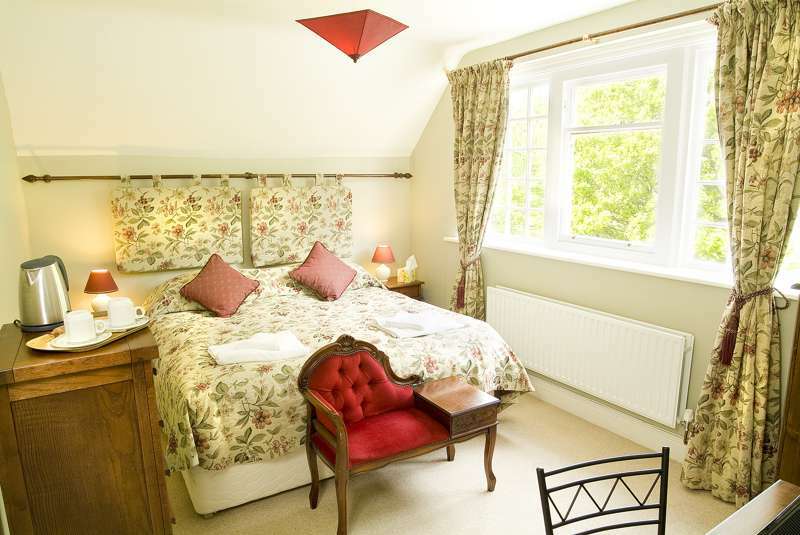 An elegant Hertford B&B with a character and style all of its own. 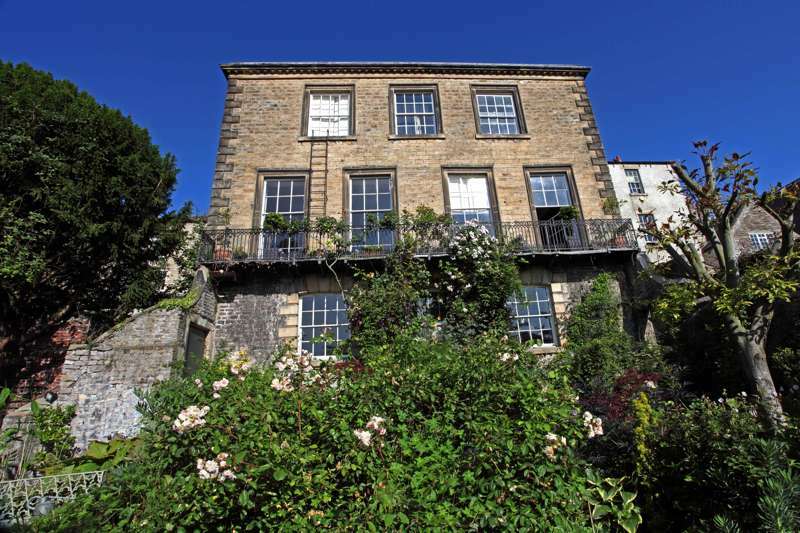 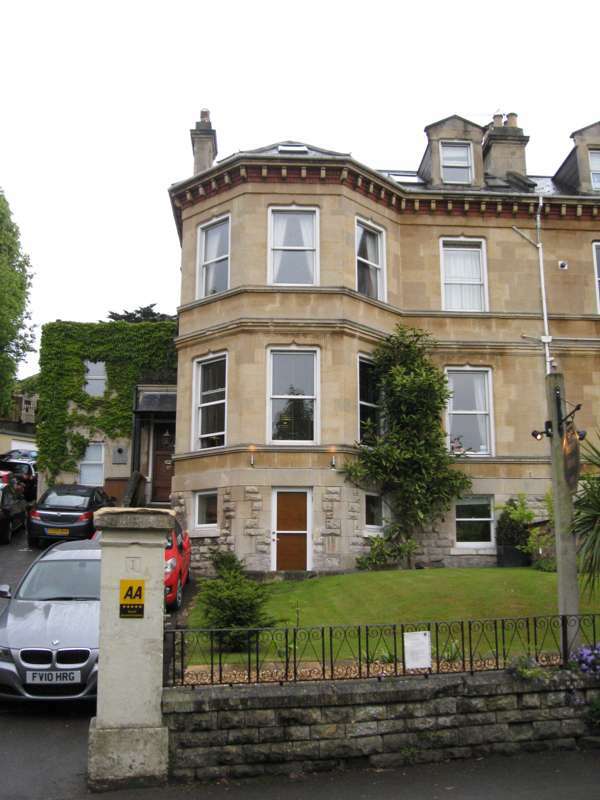 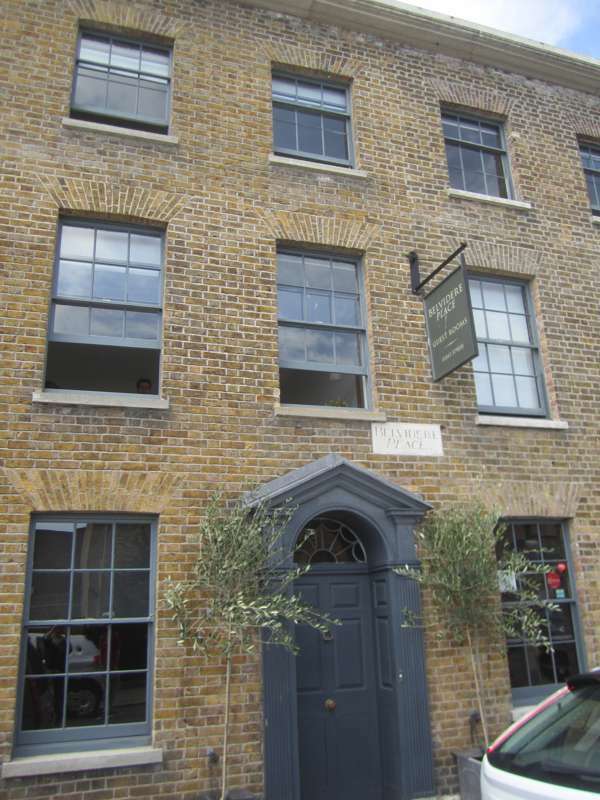 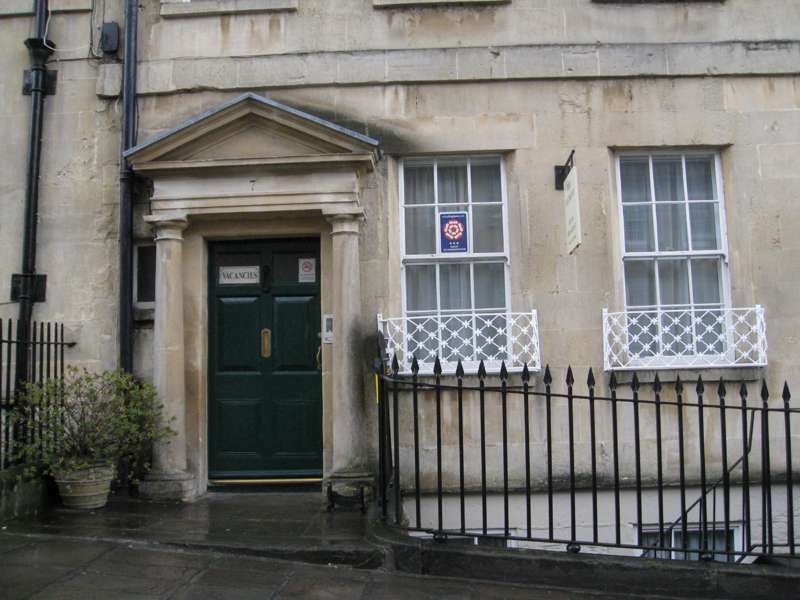 A historic townhouse designed by John Wood the Younger a few minutes’ walk from his famous Royal Crescent. 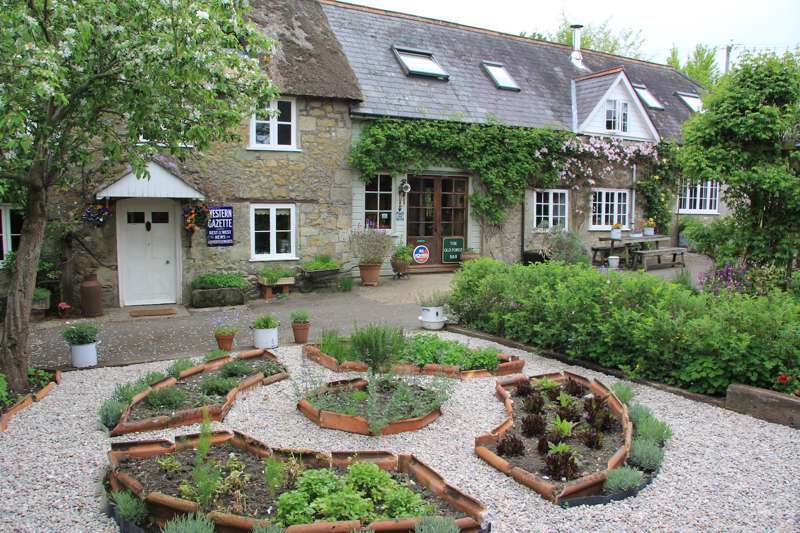 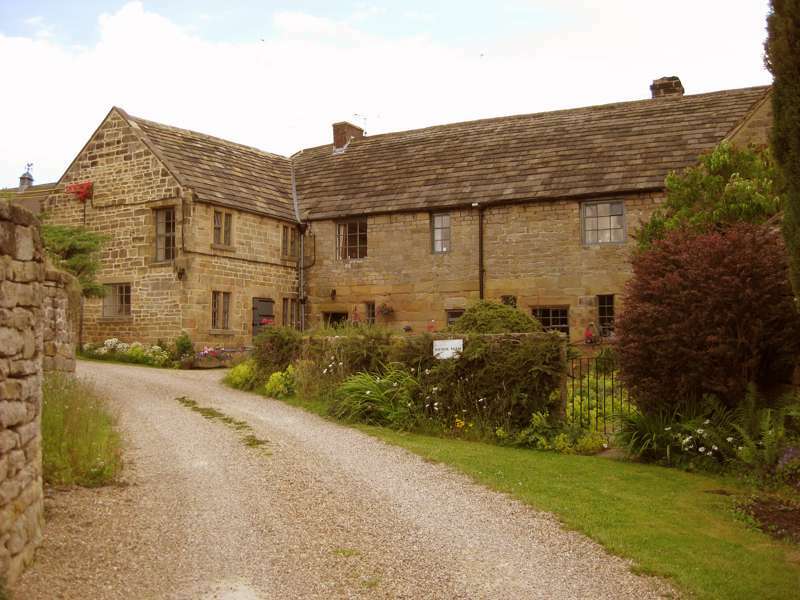 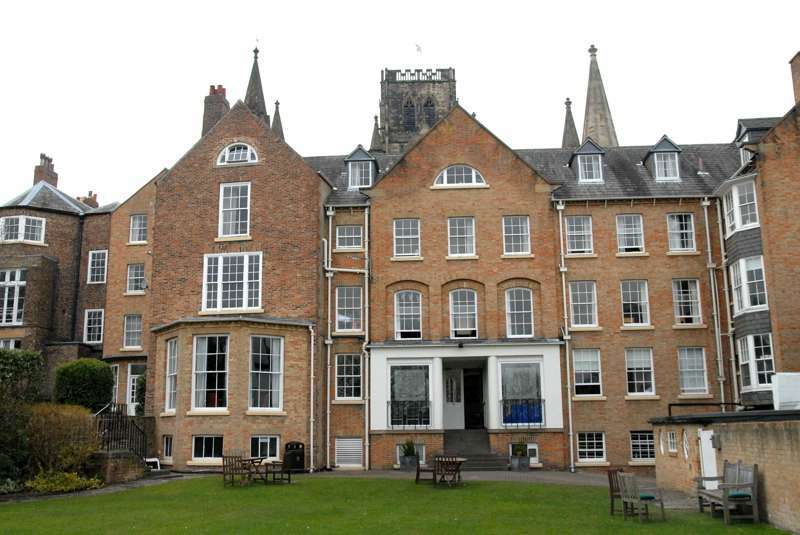 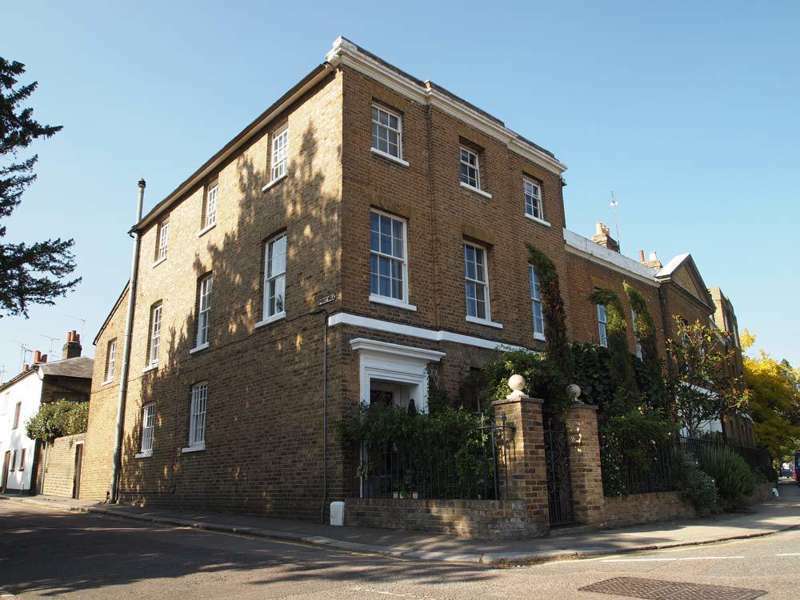 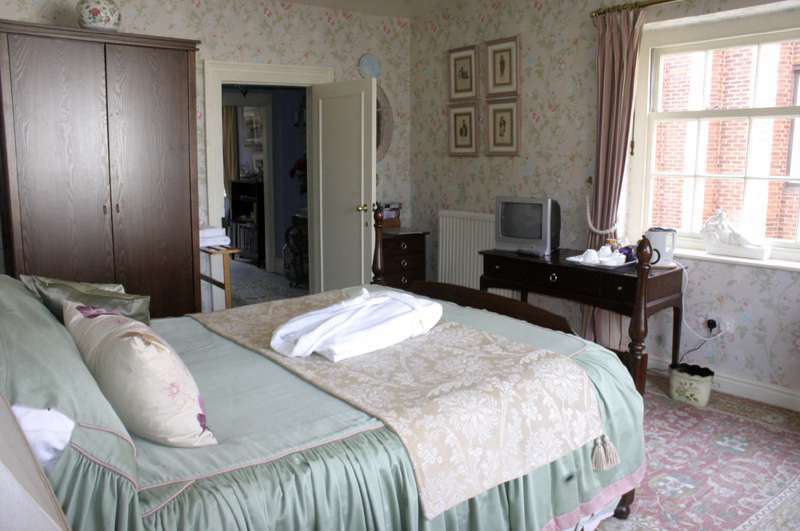 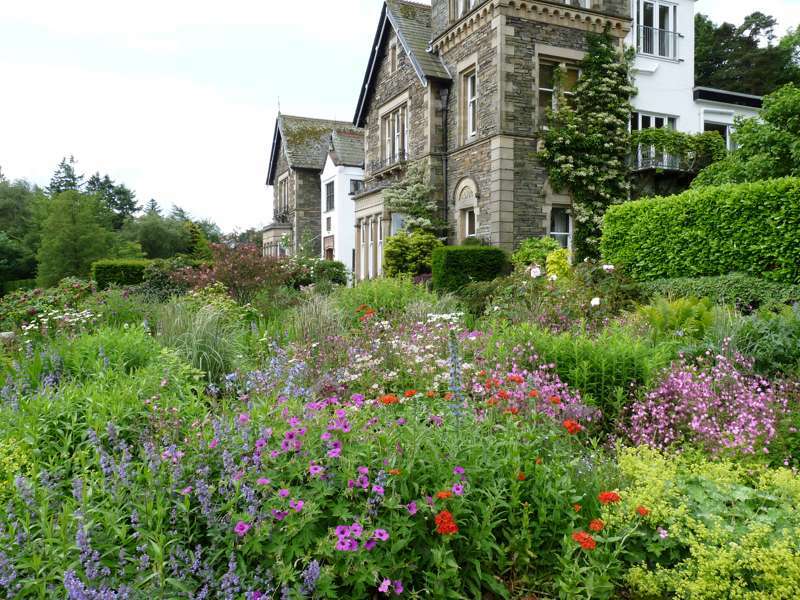 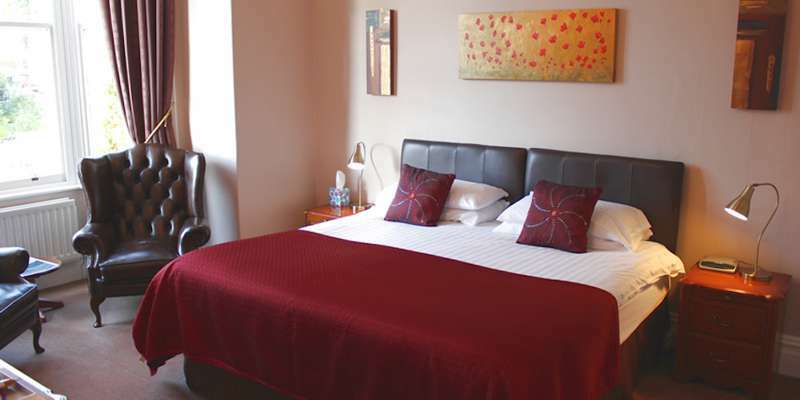 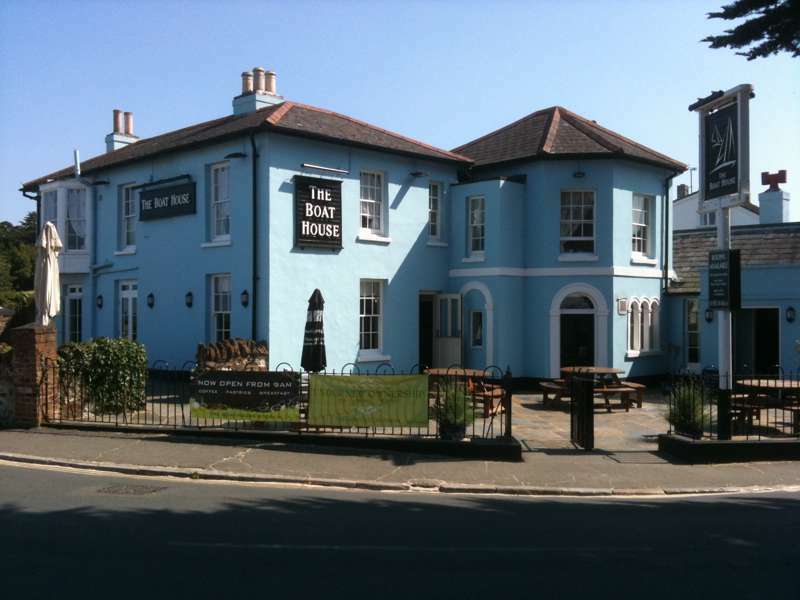 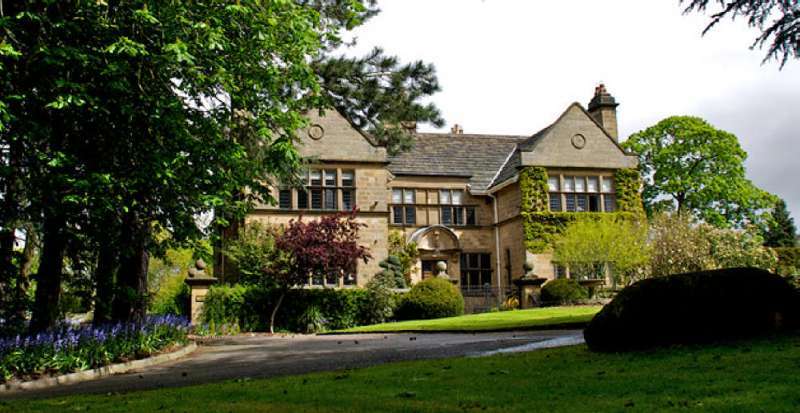 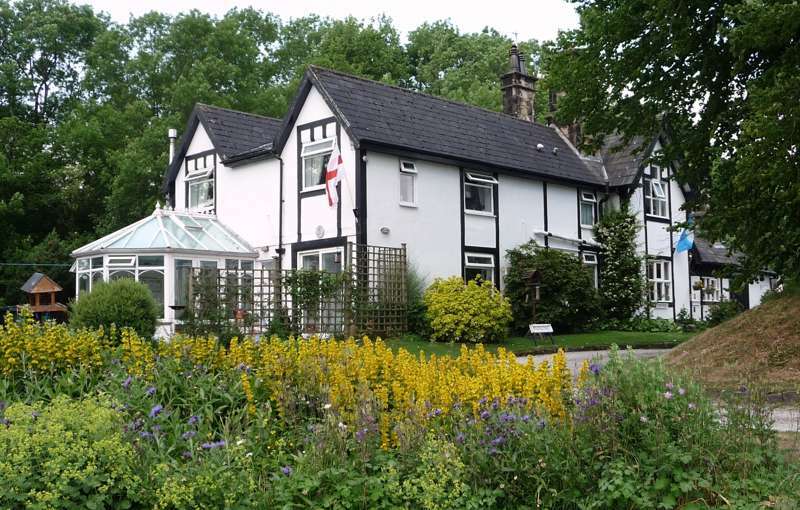 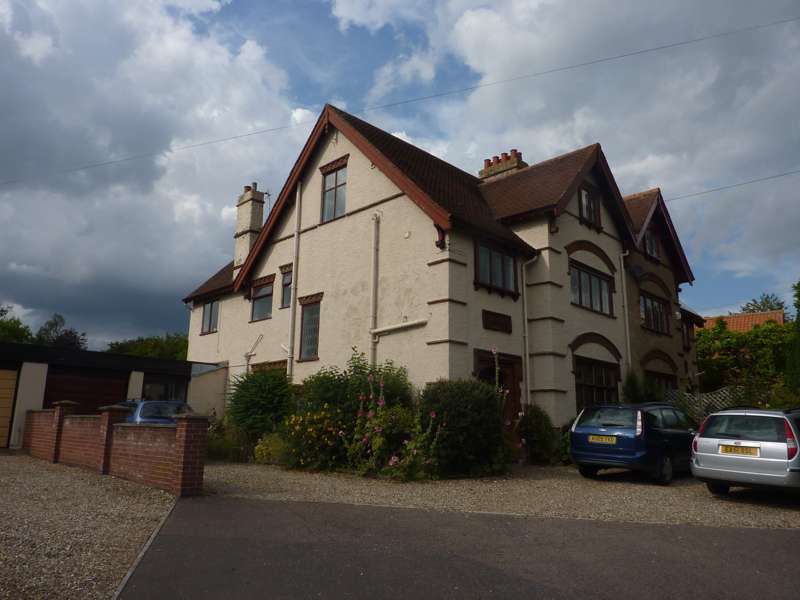 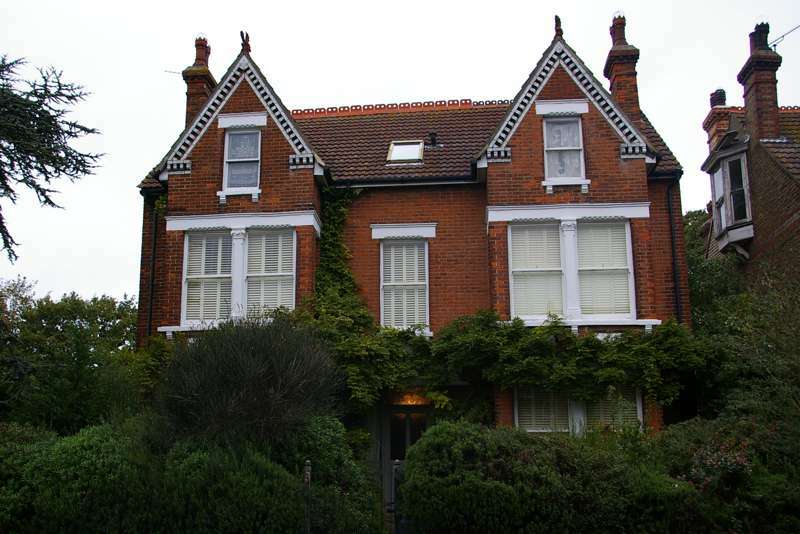 england b&bs uk bed and breakfast boutique b&bs boutique guesthouses budget places to stay budget accommodation chintz at Bed & Breakfasts, The best B&Bs – expertly chosen by Cool Places – ranging from boutique bed and breakfasts and remote B&Bs to dog-friendly B&Bs.